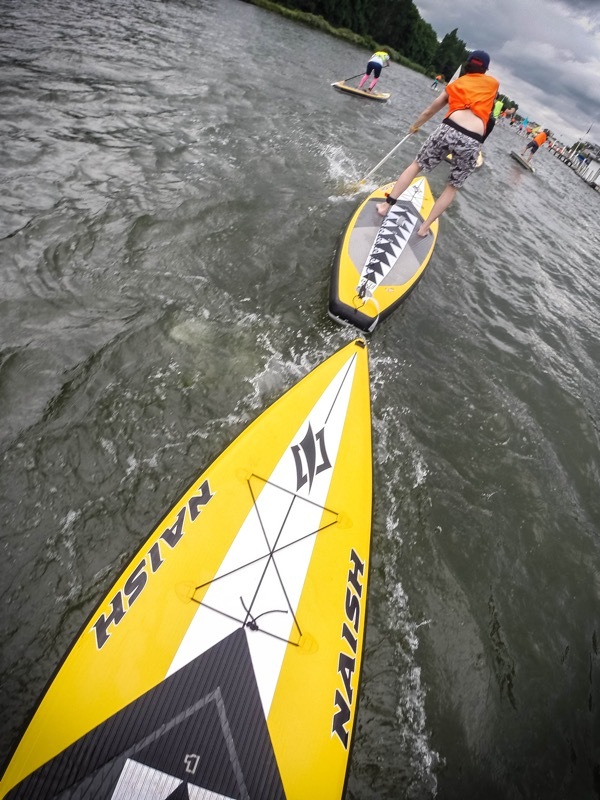 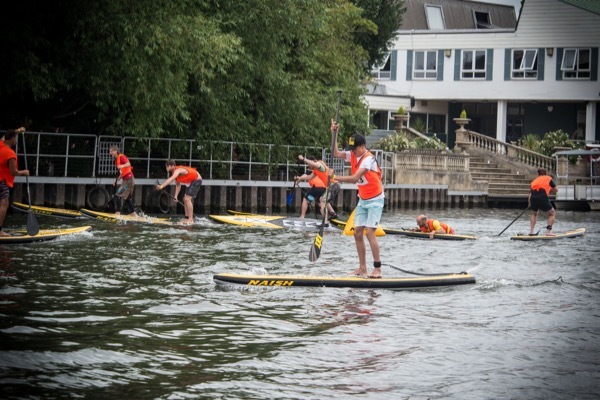 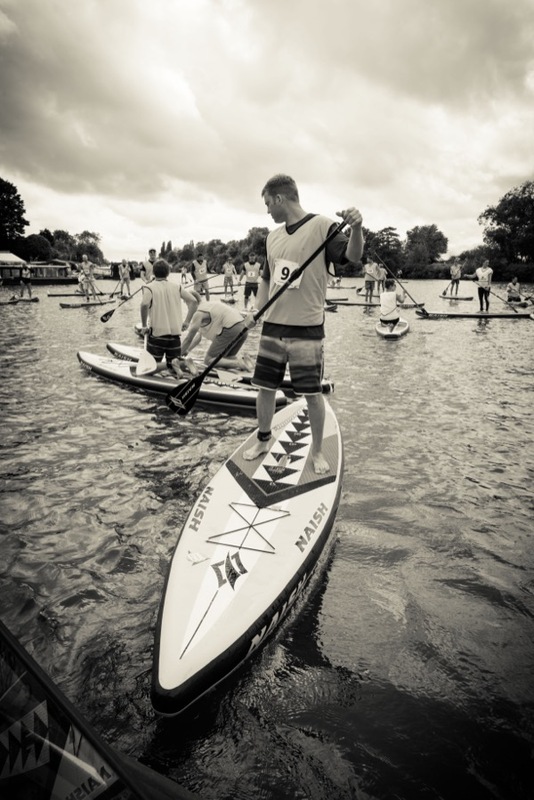 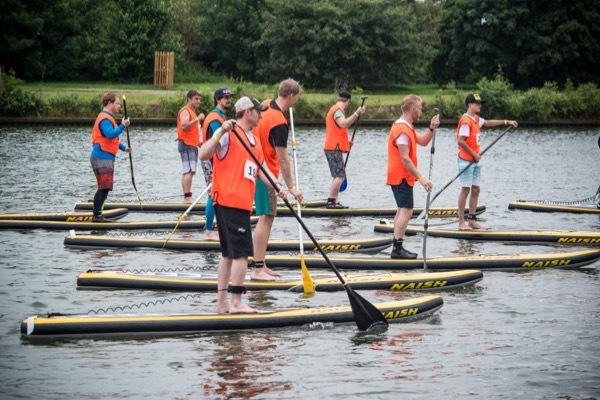 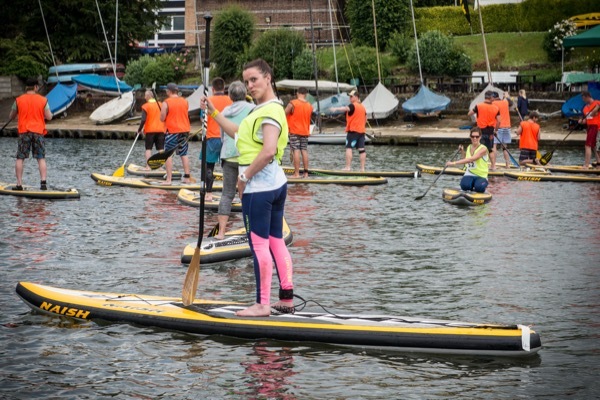 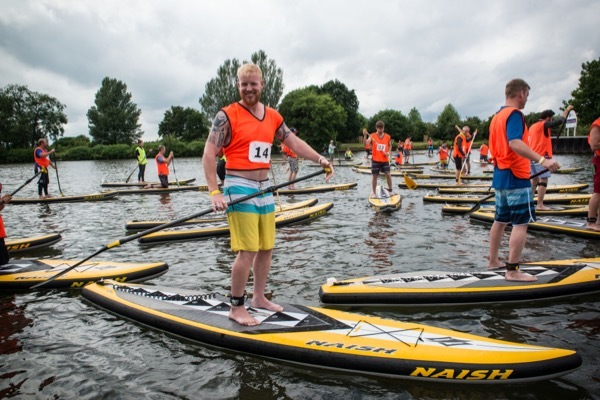 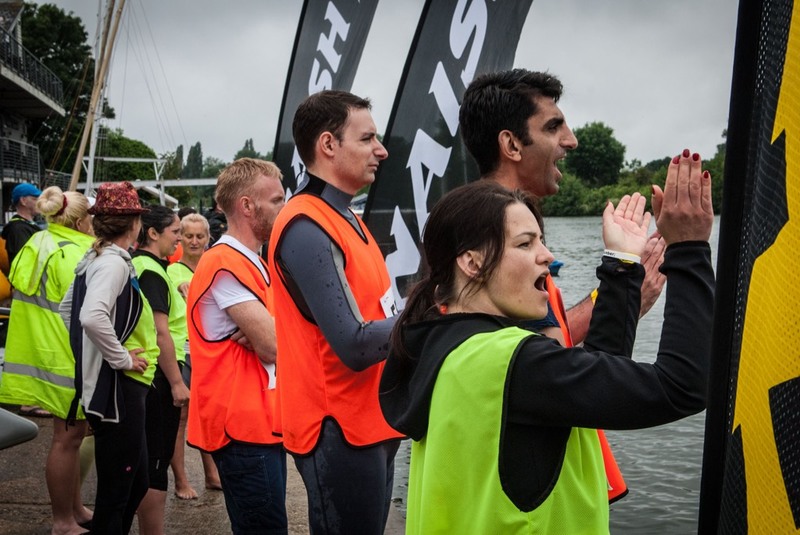 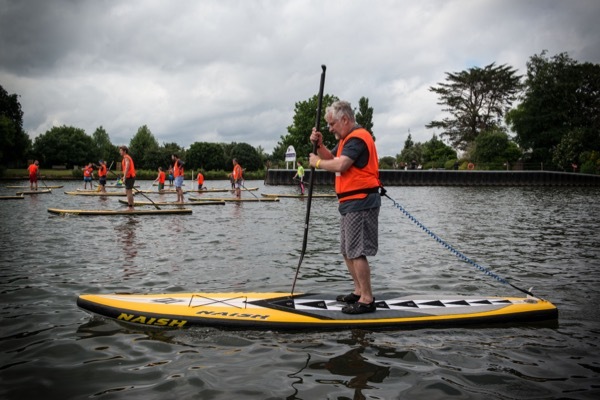 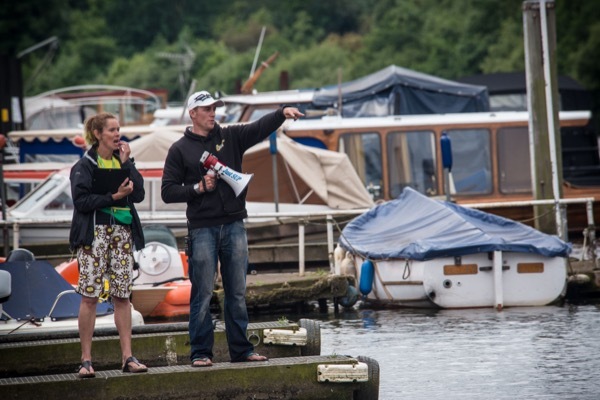 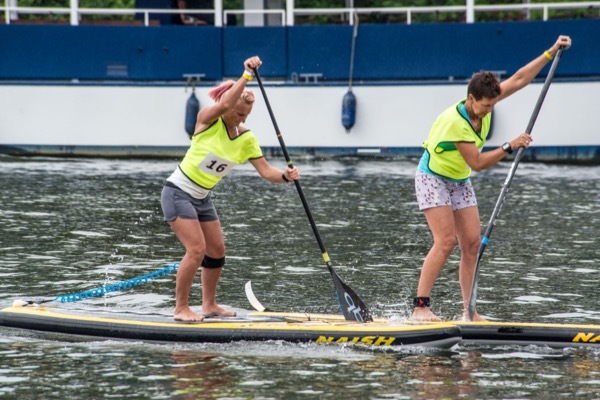 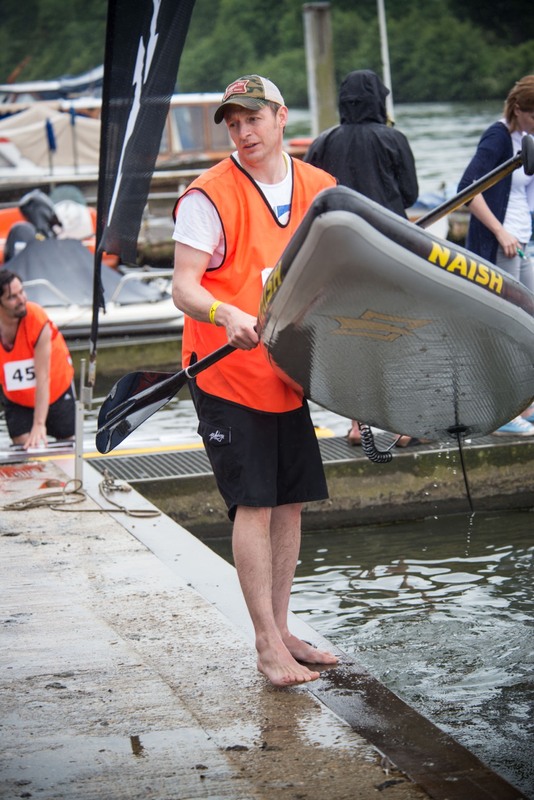 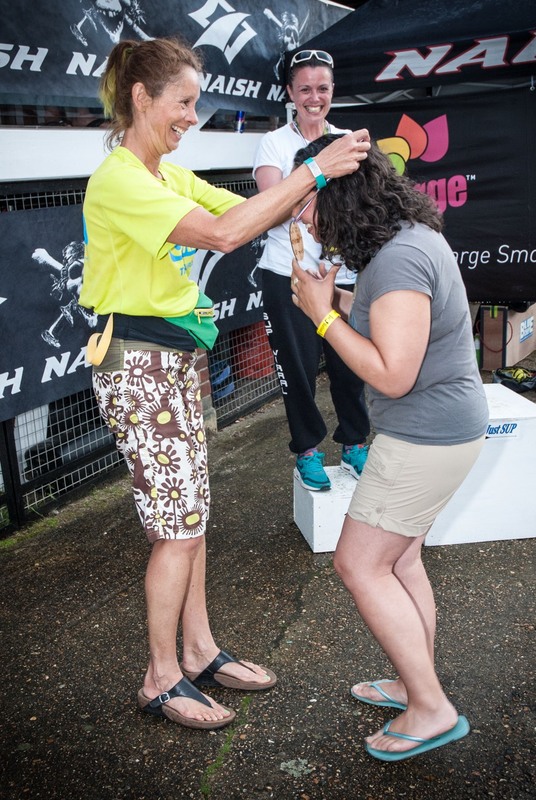 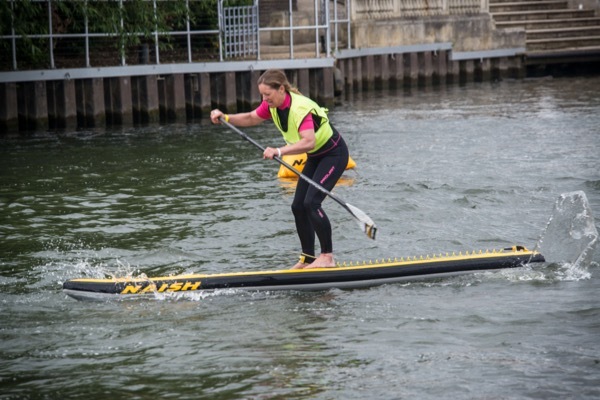 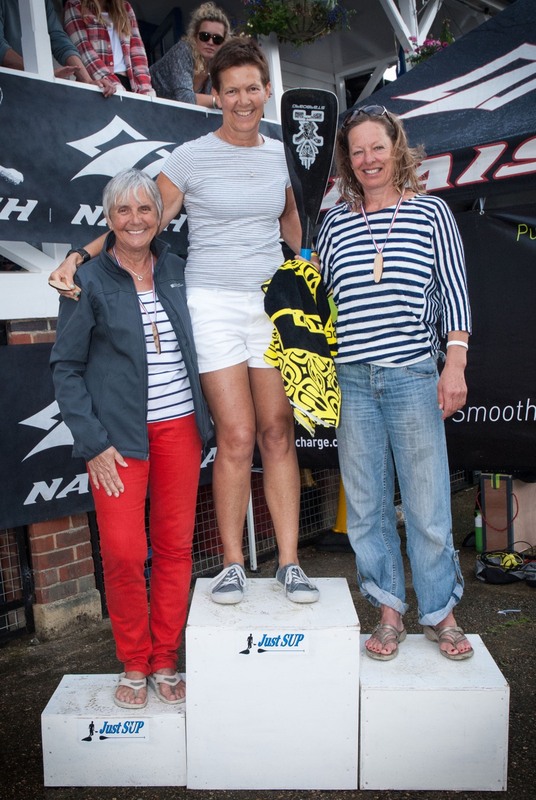 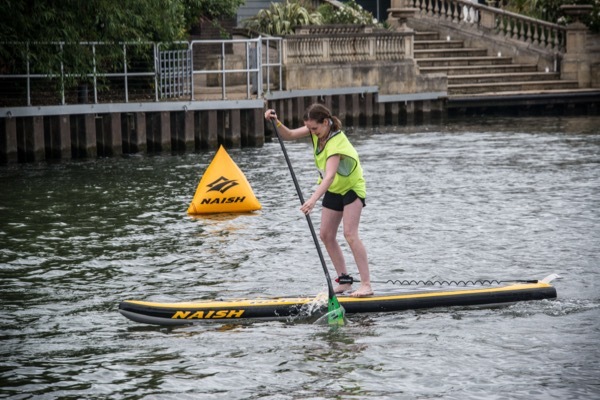 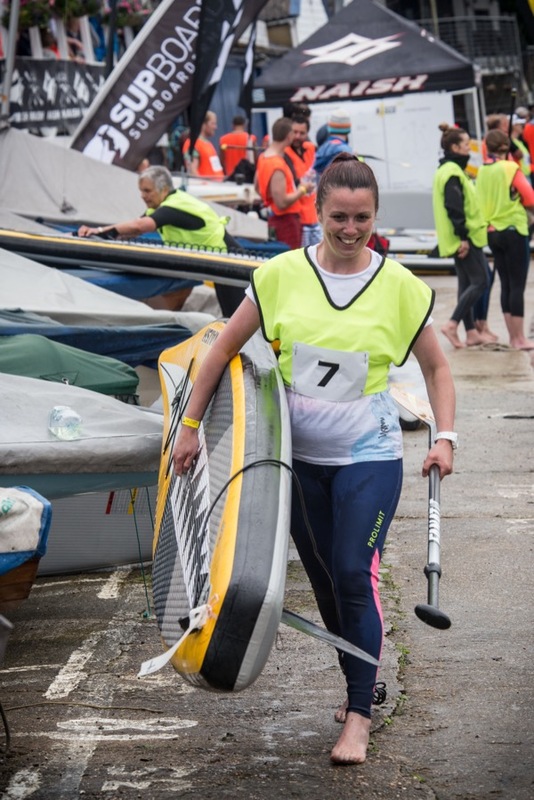 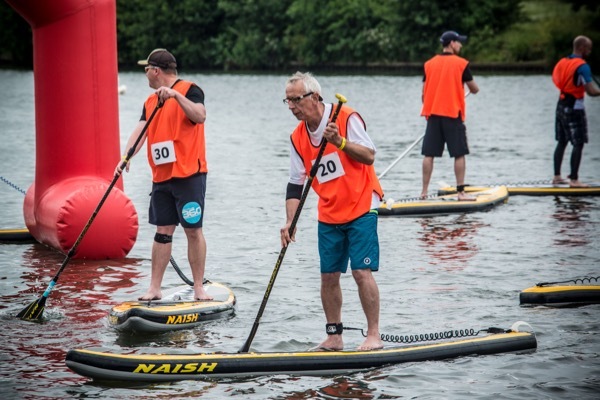 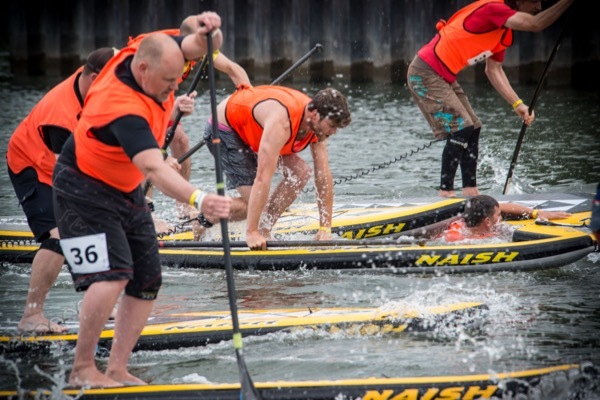 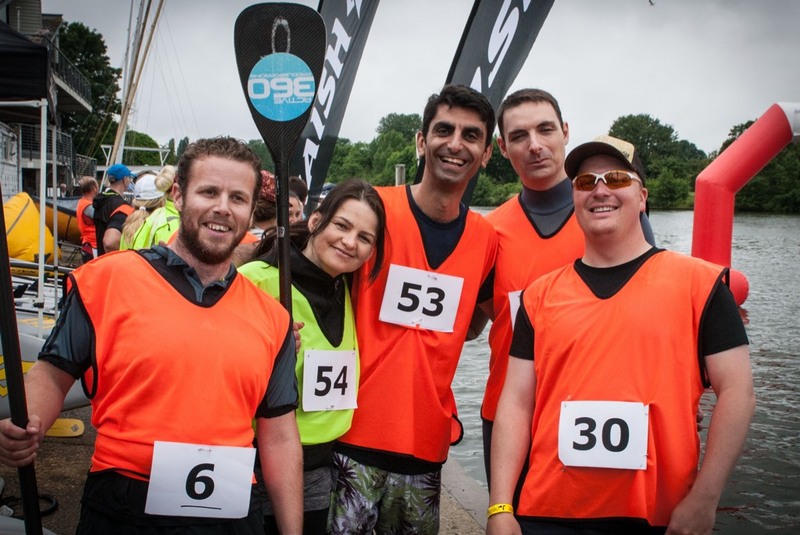 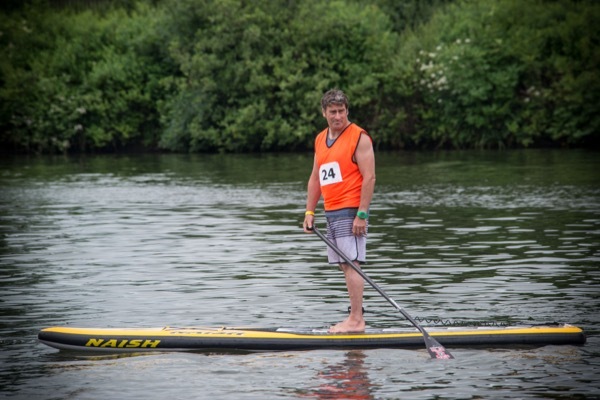 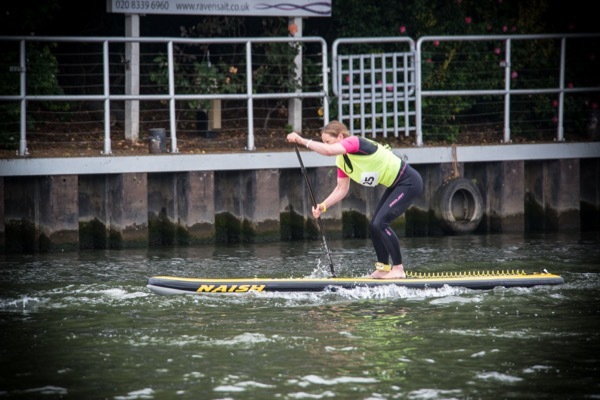 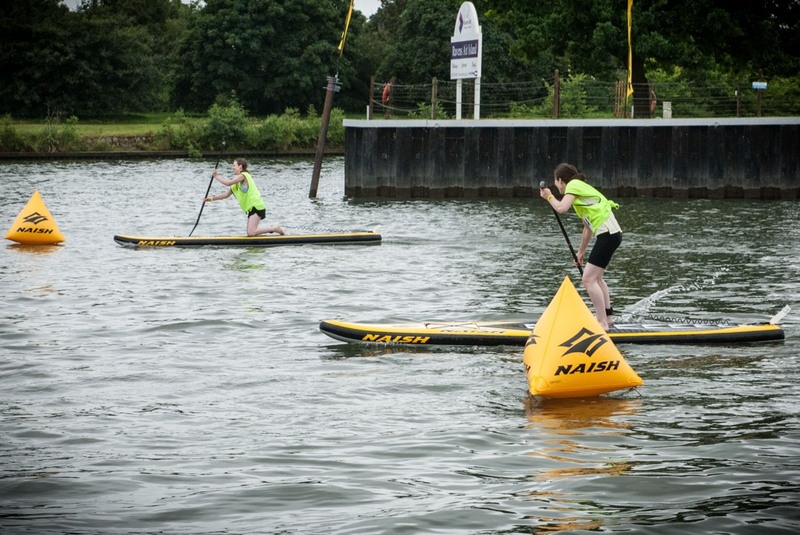 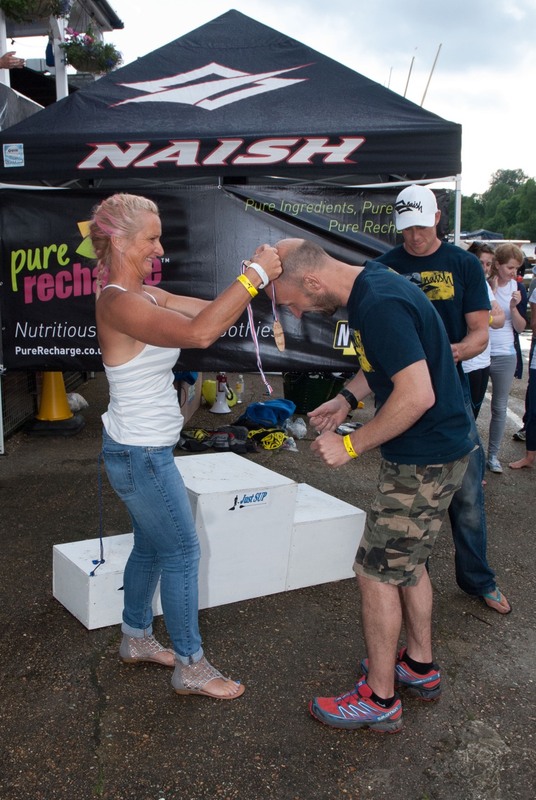 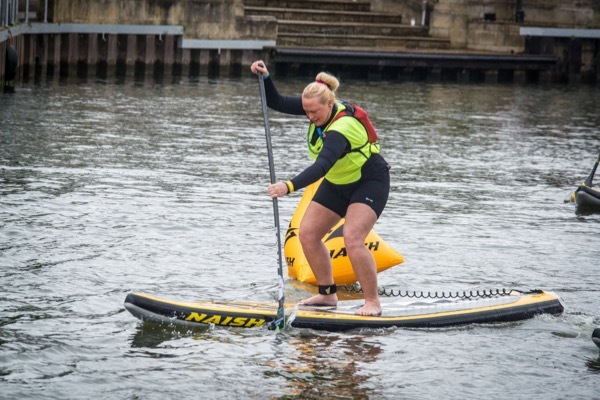 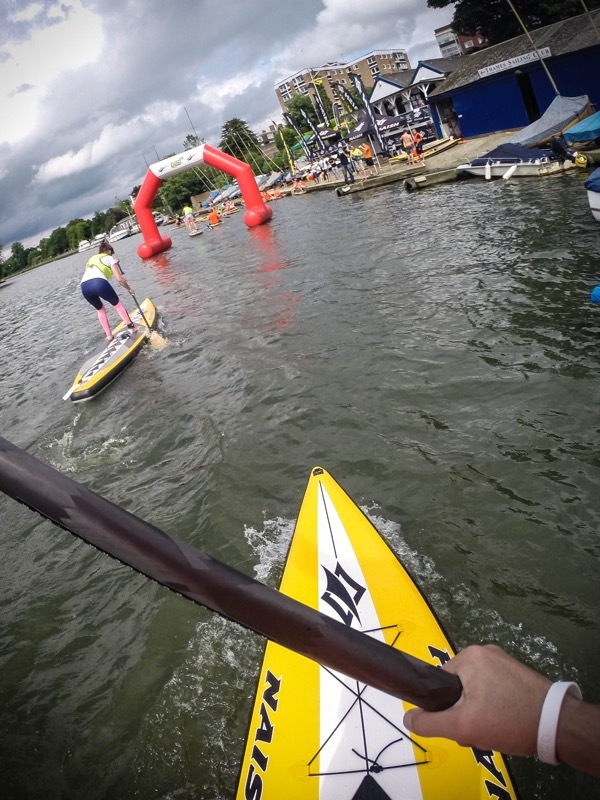 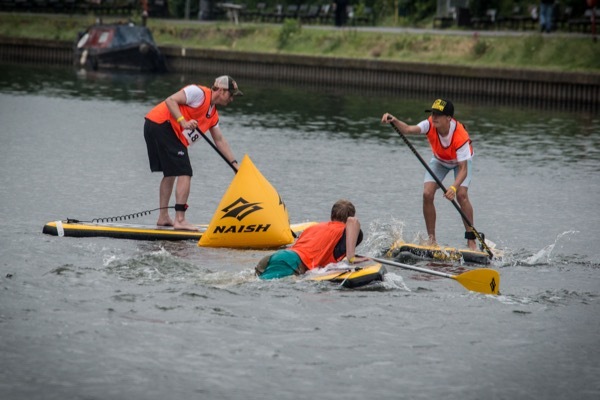 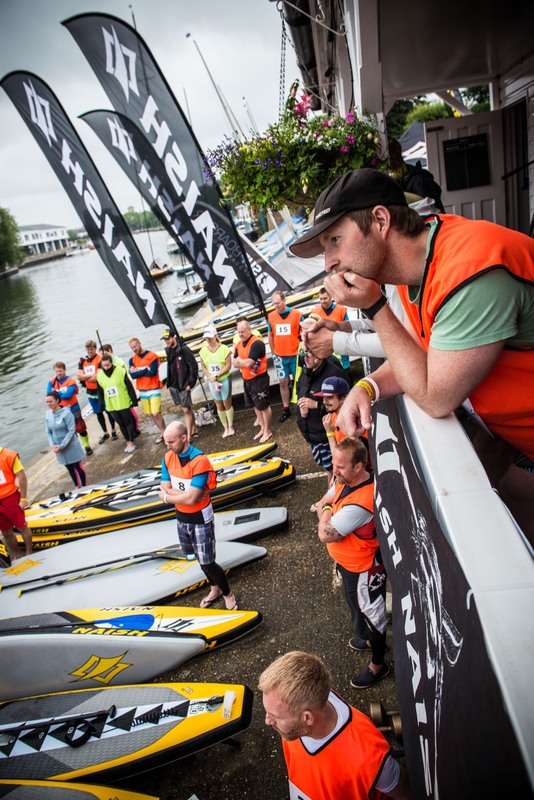 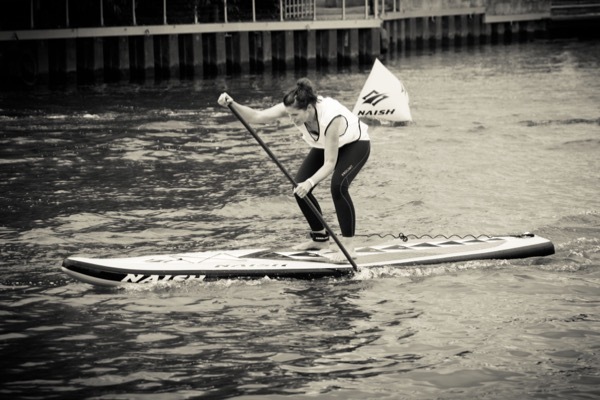 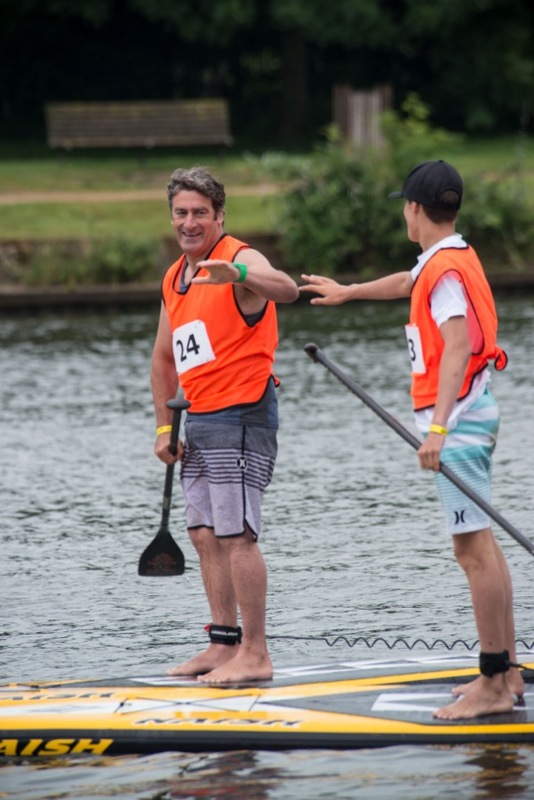 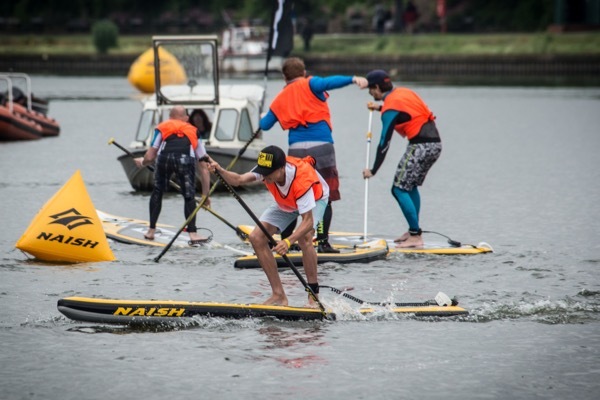 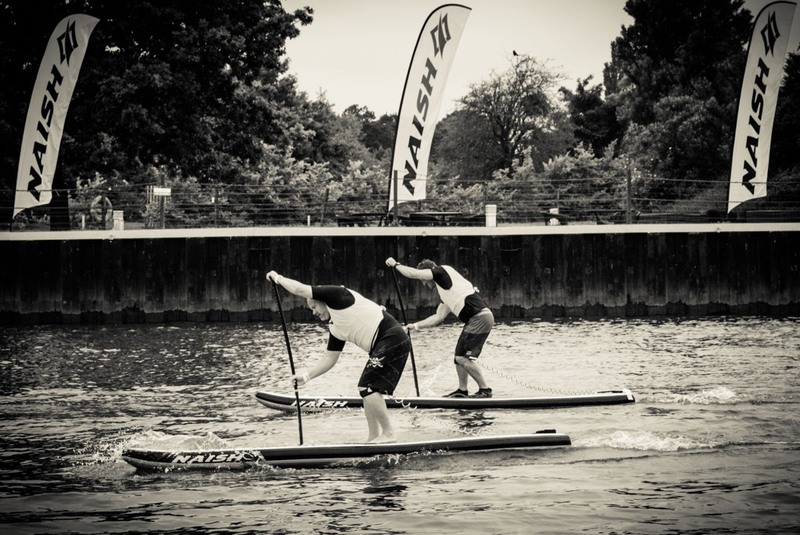 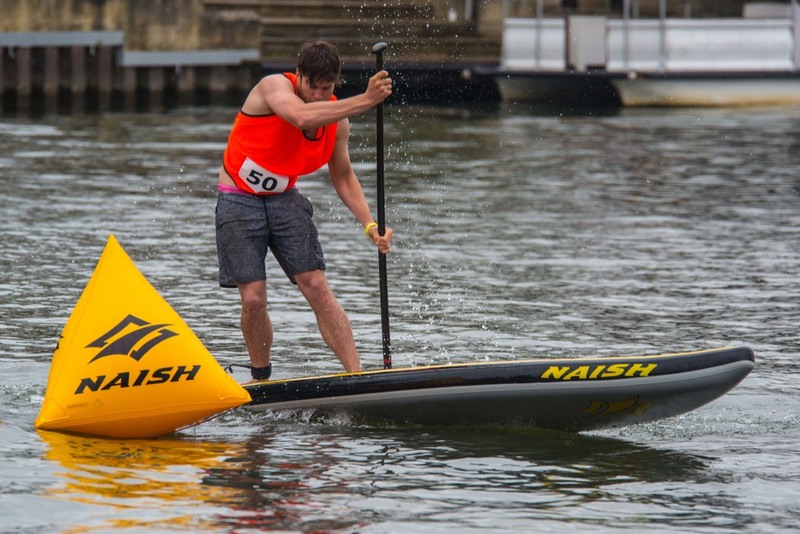 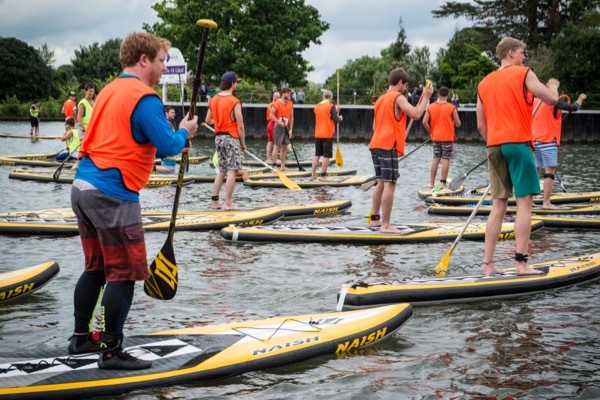 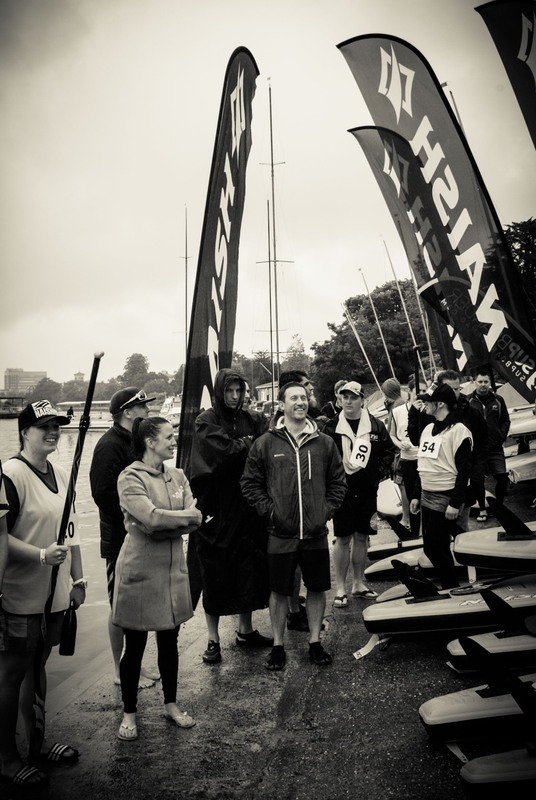 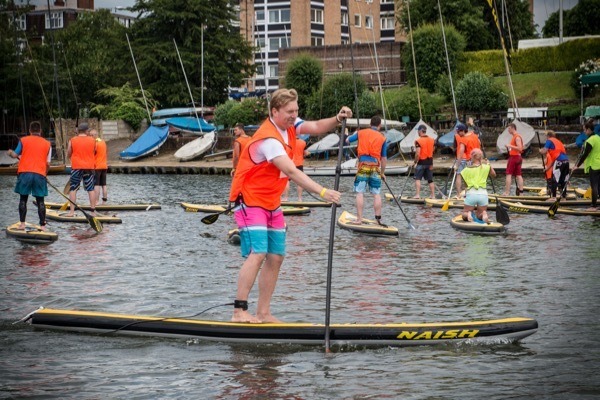 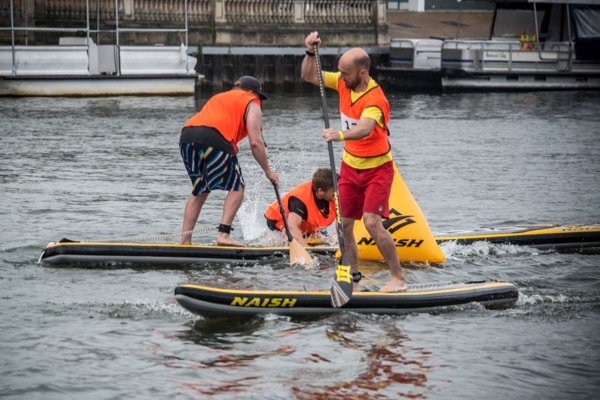 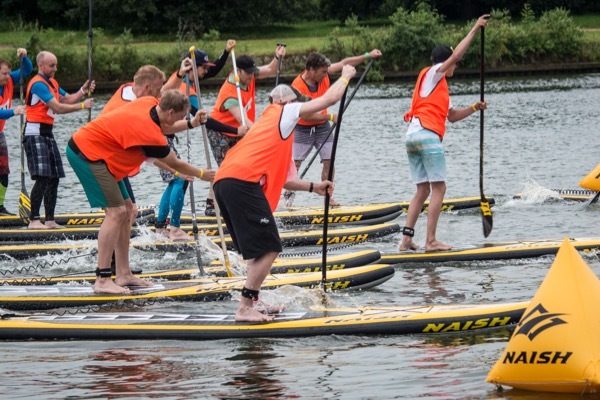 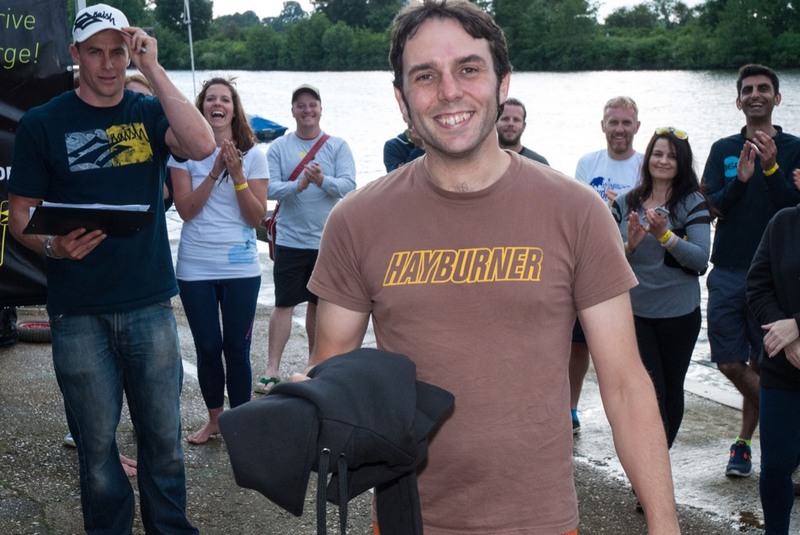 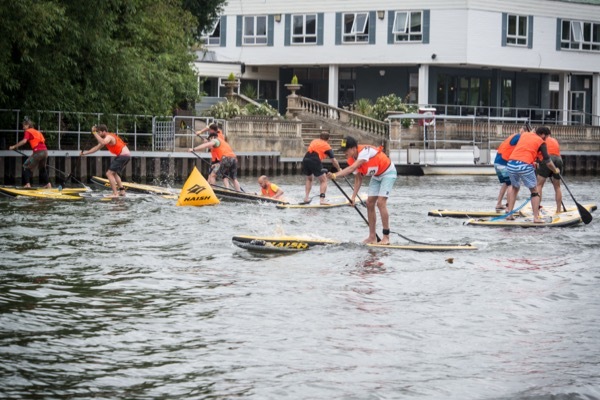 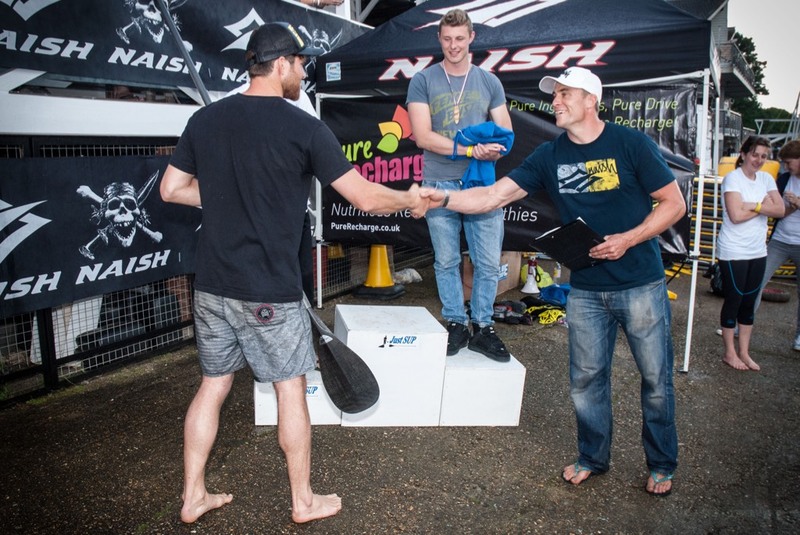 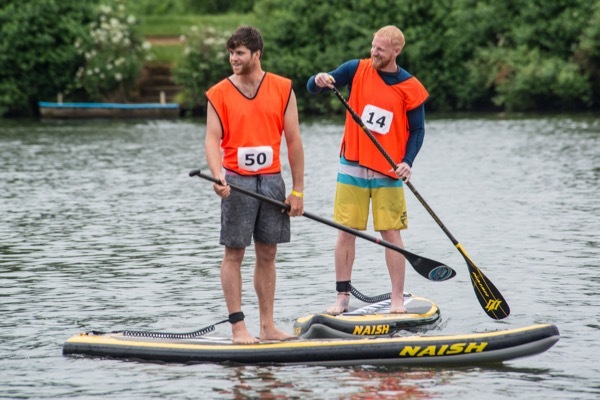 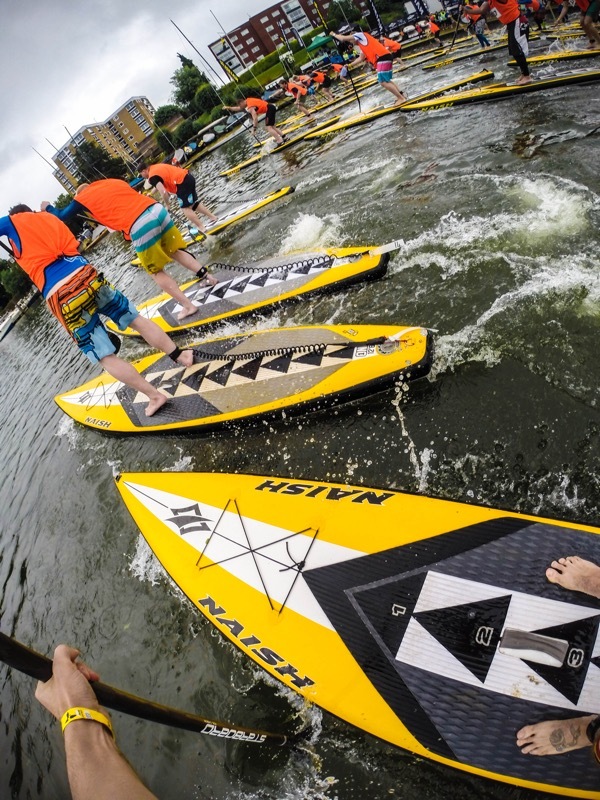 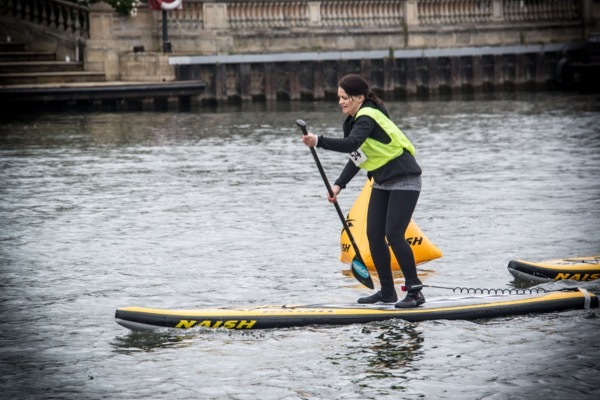 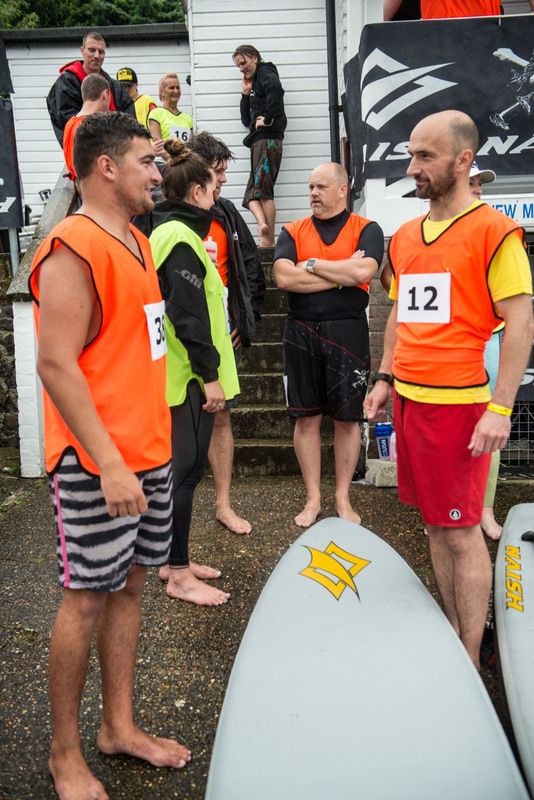 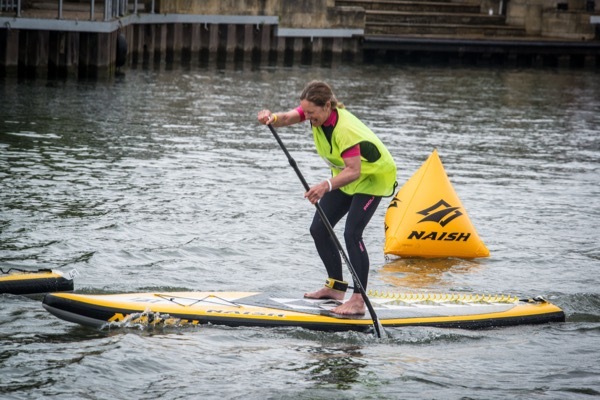 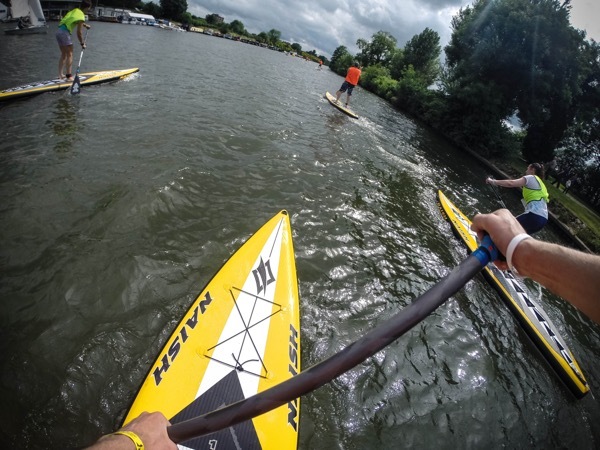 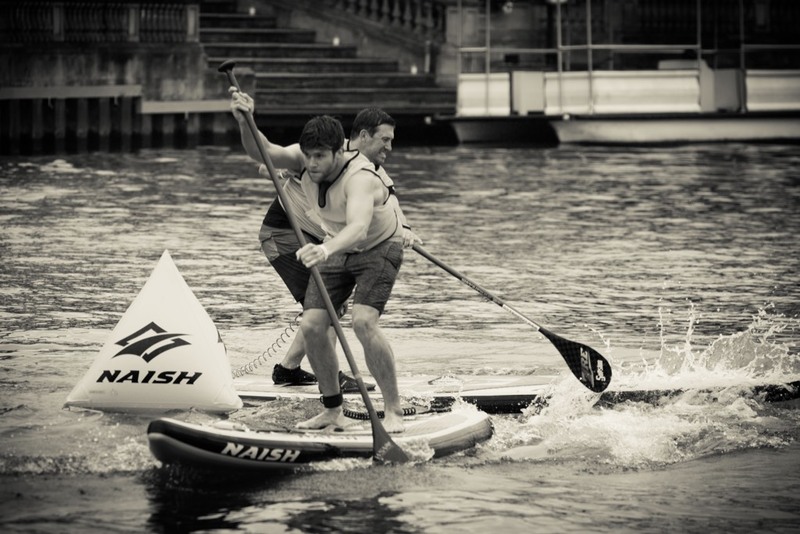 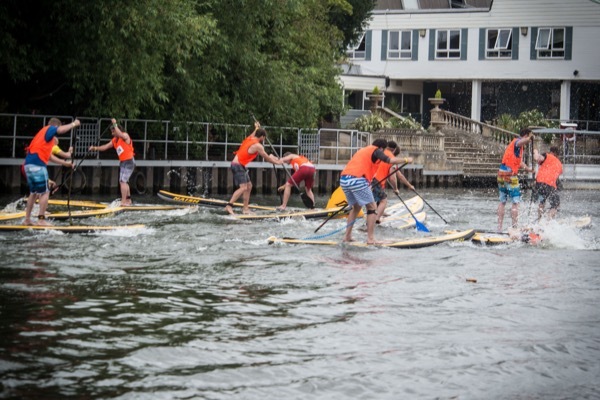 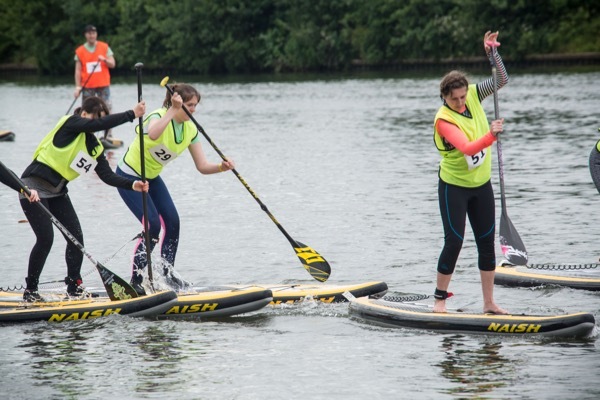 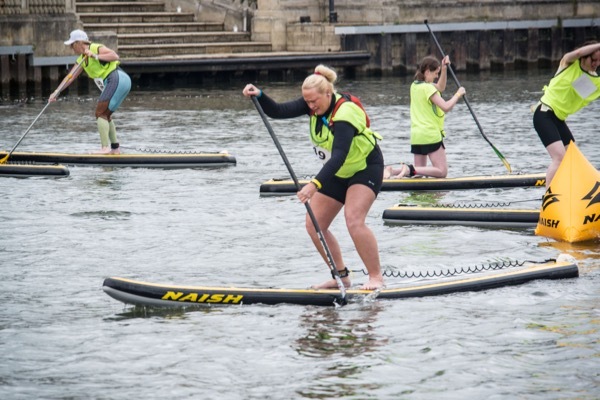 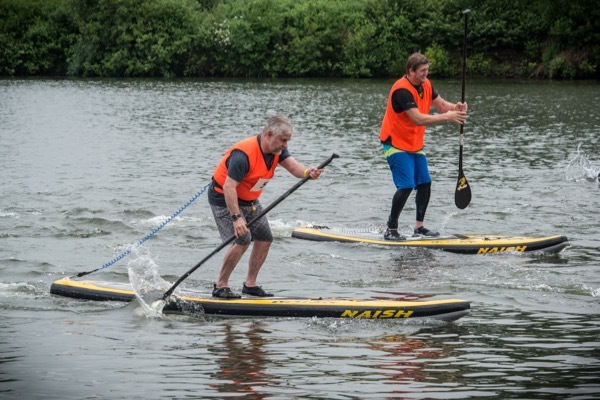 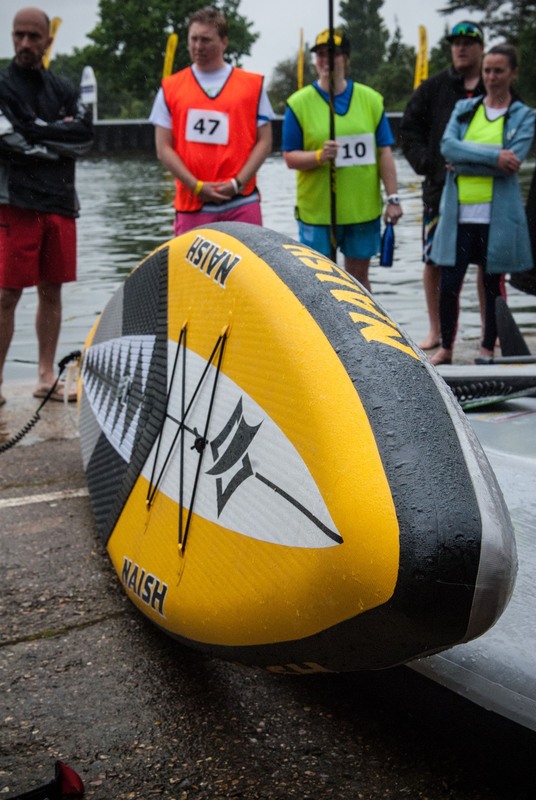 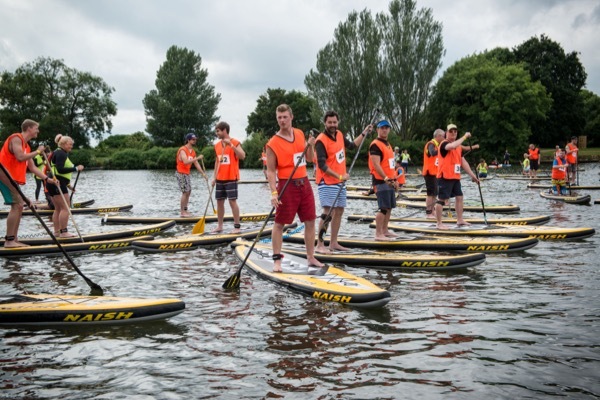 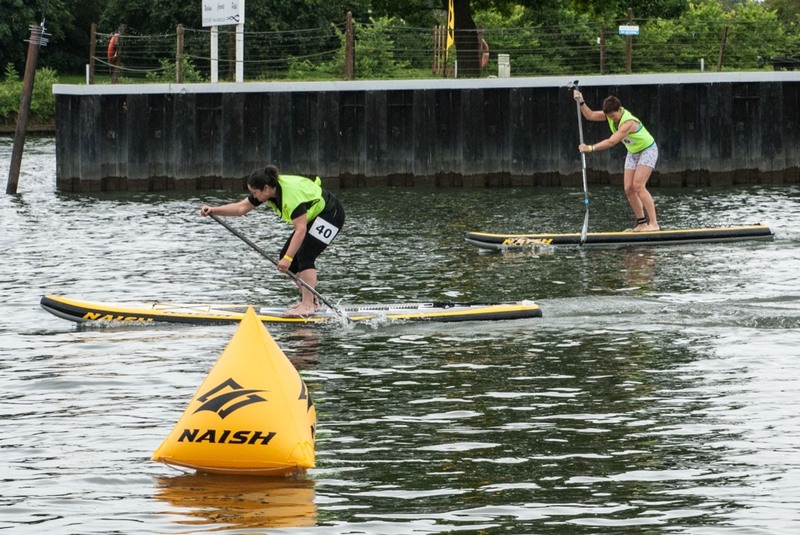 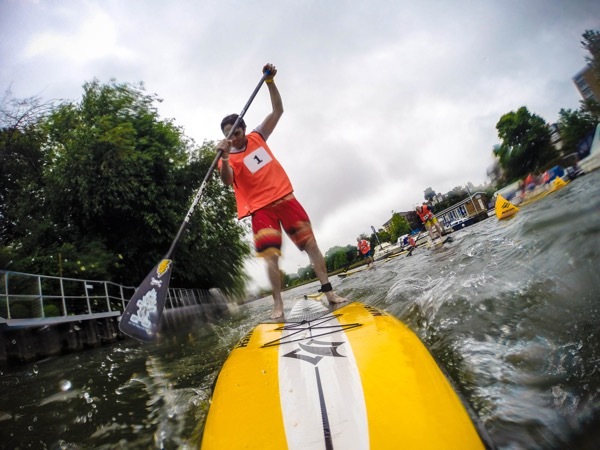 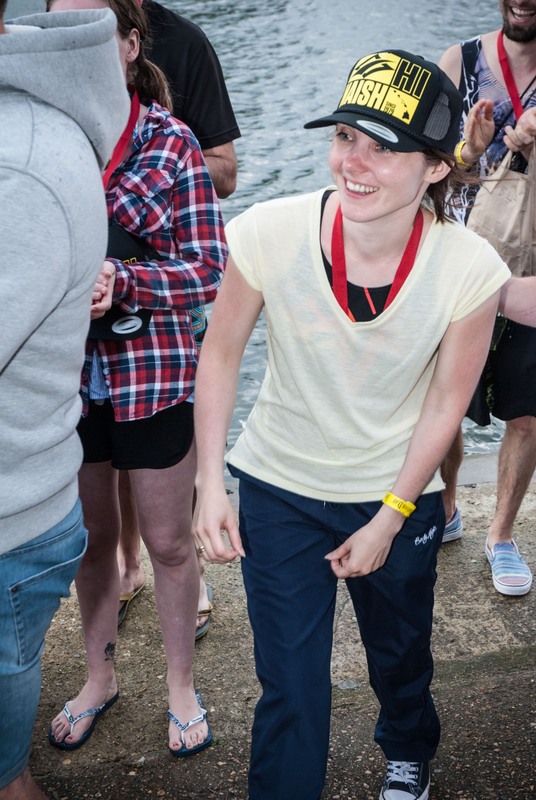 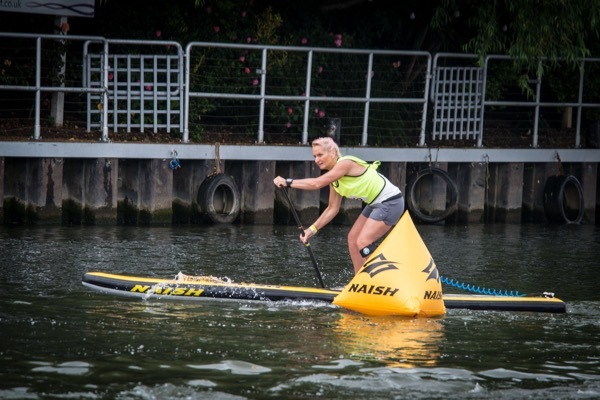 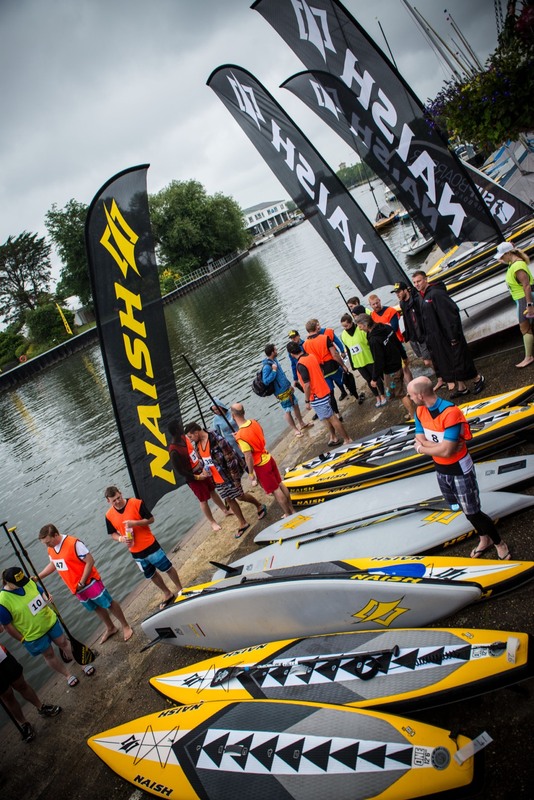 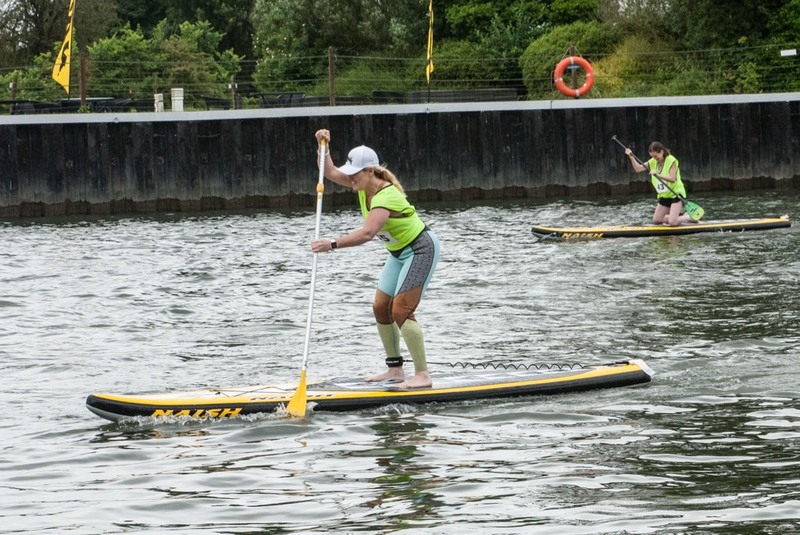 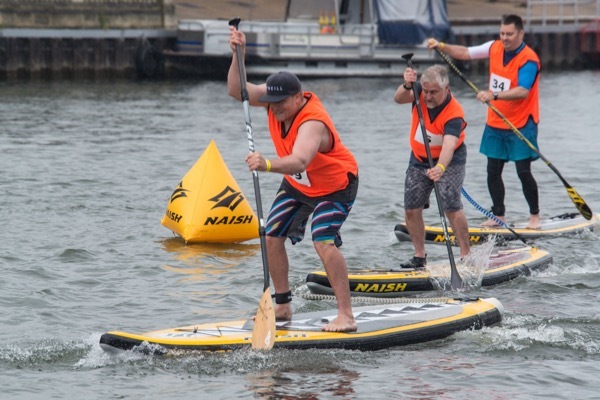 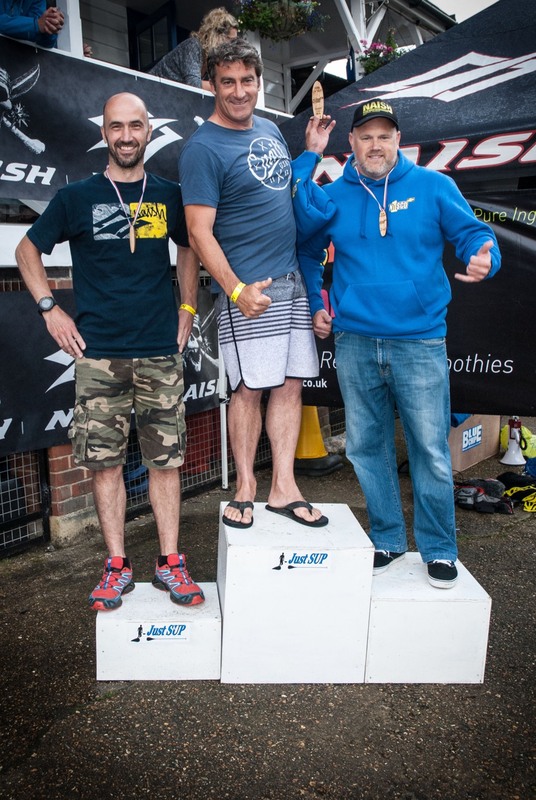 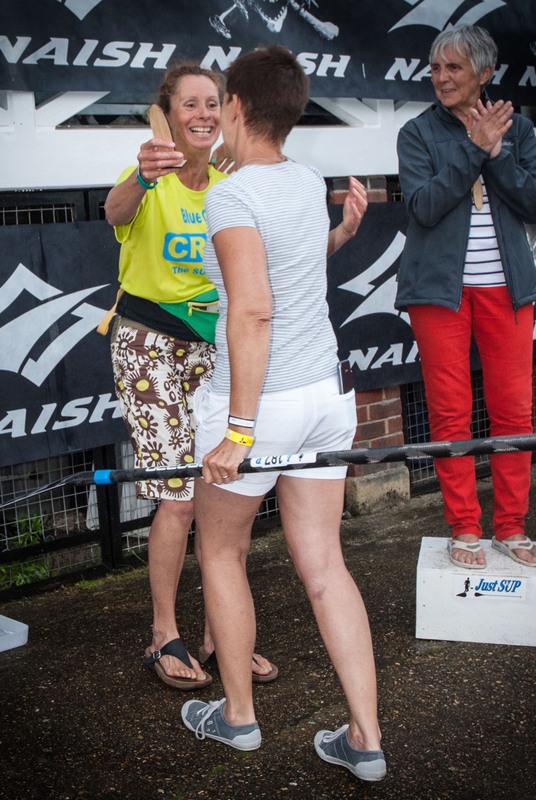 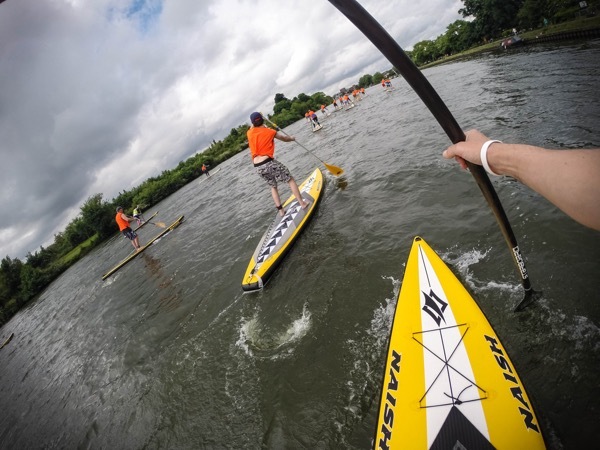 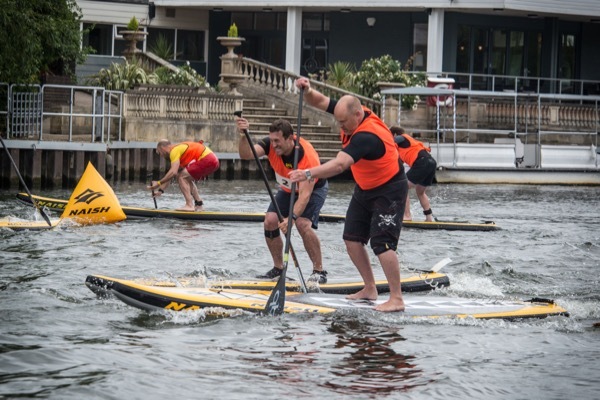 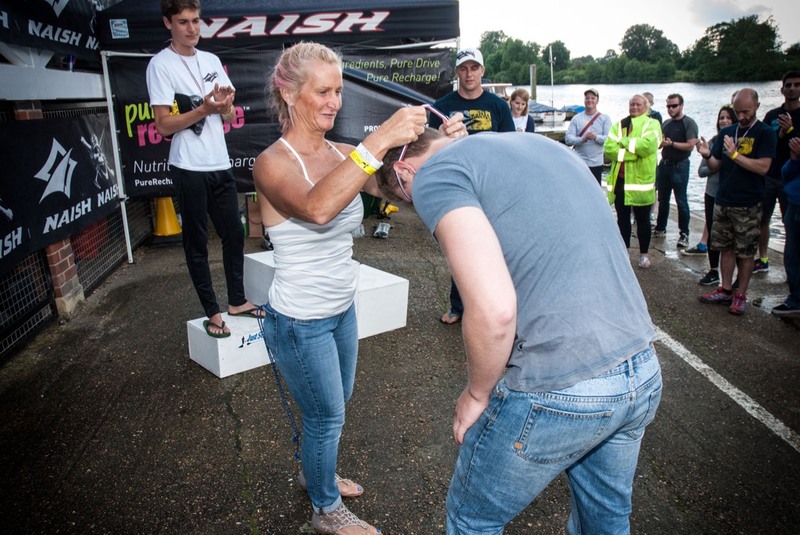 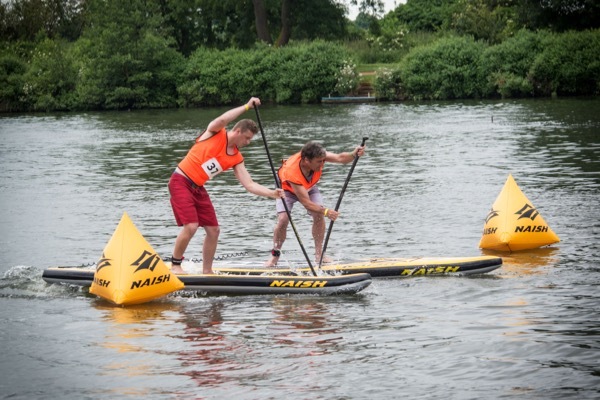 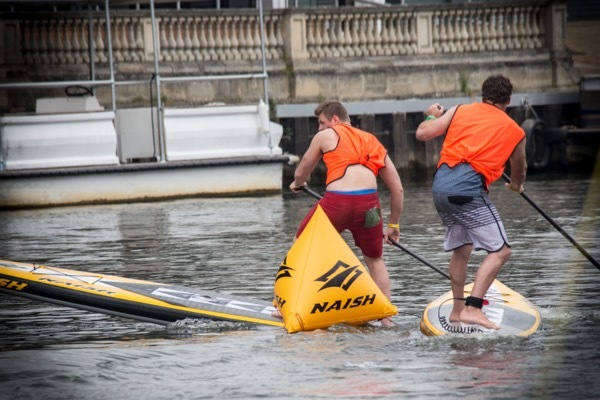 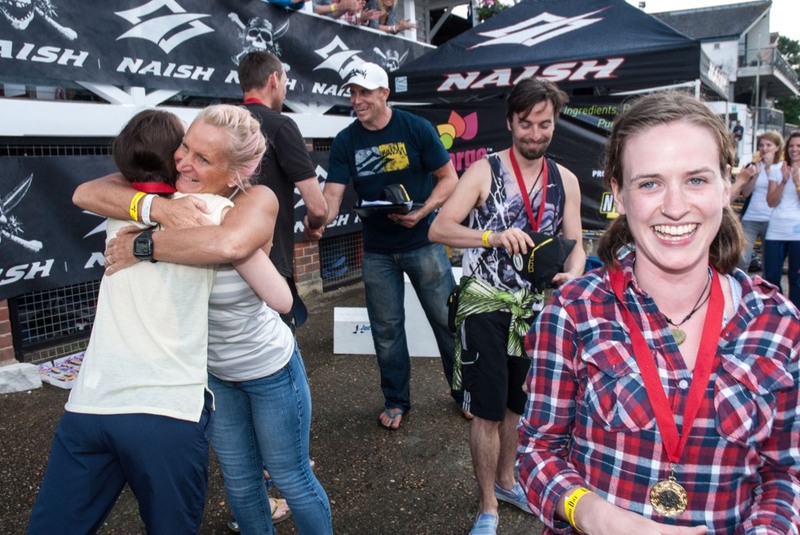 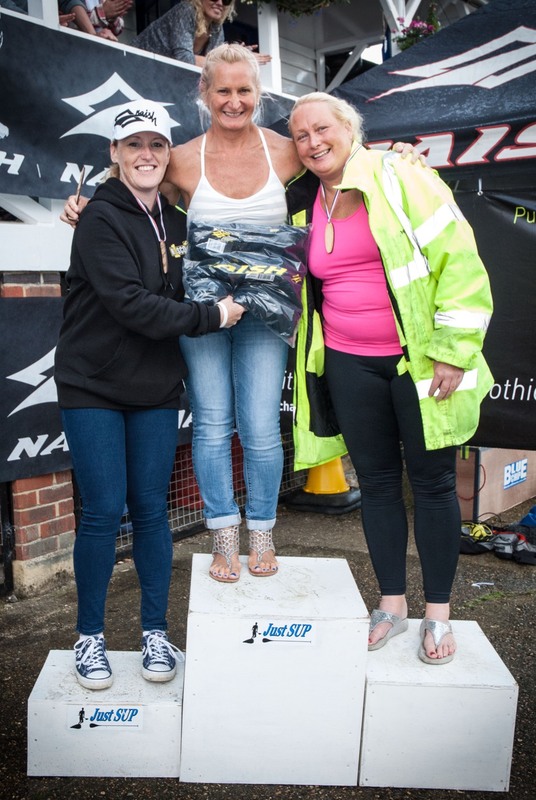 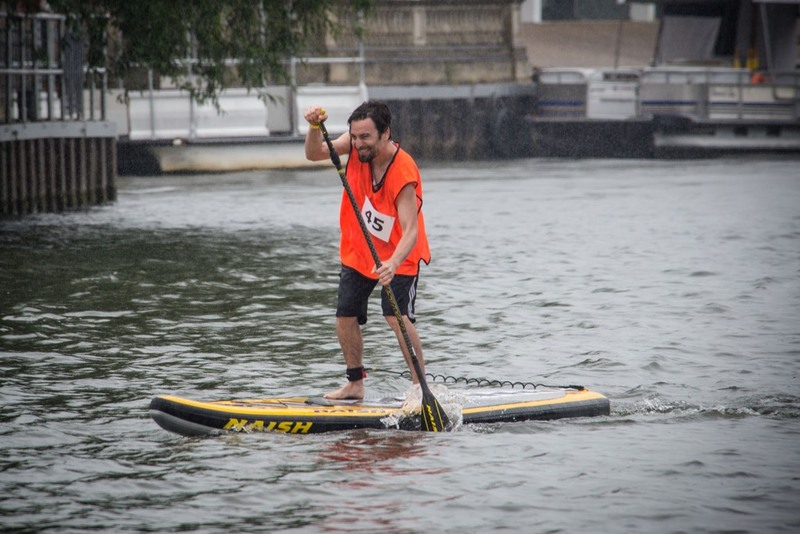 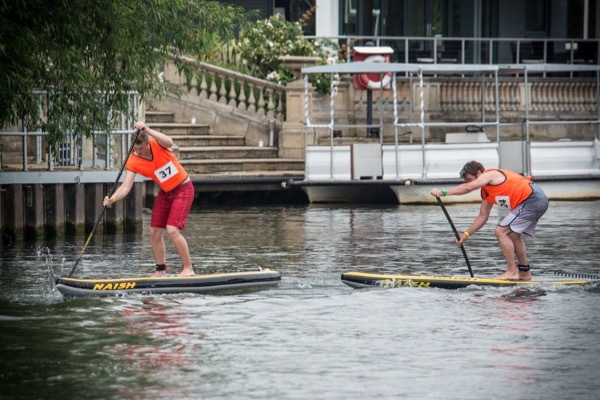 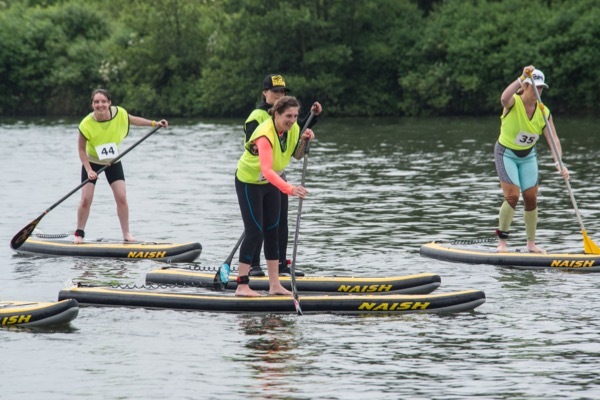 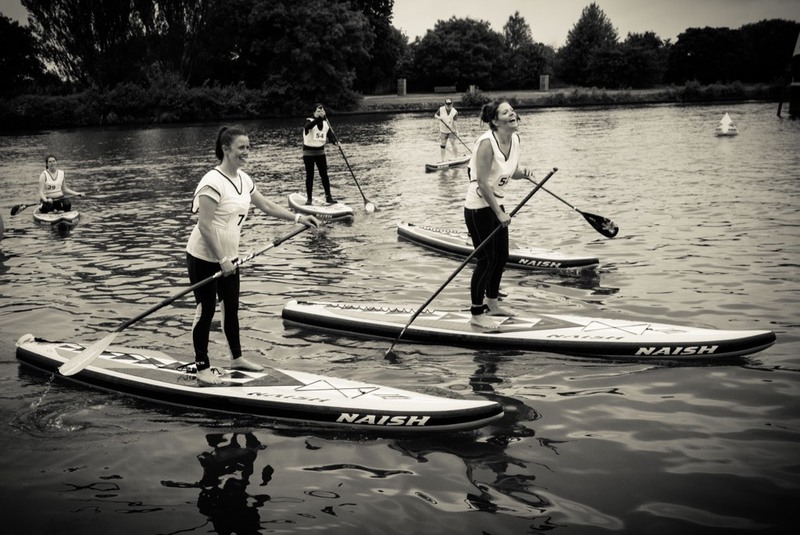 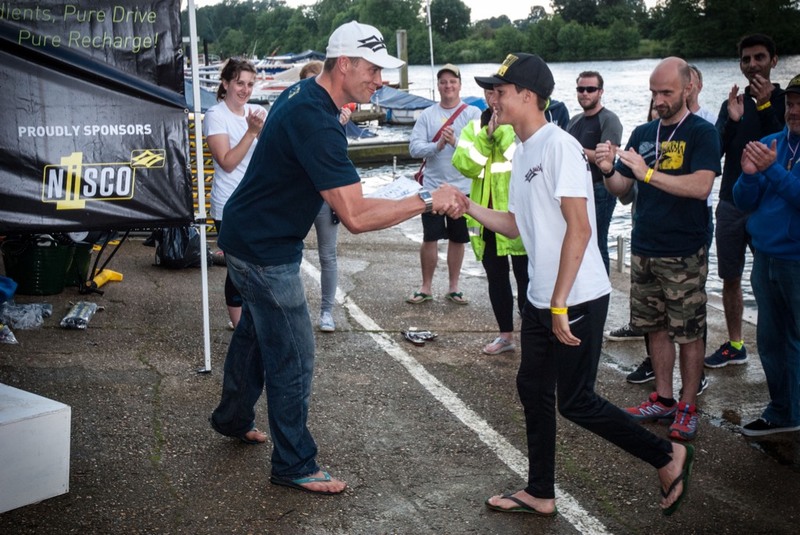 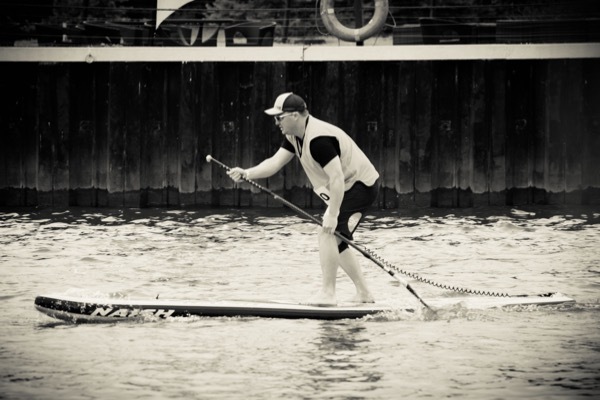 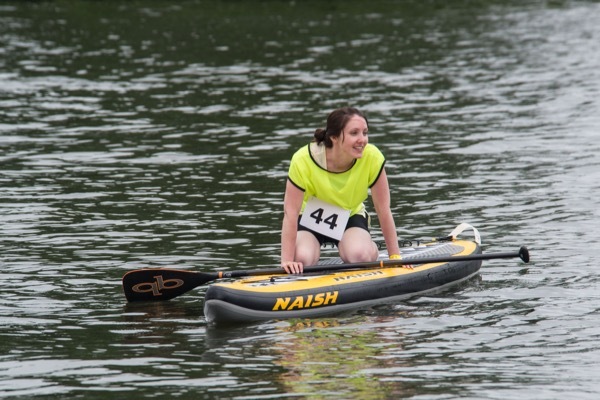 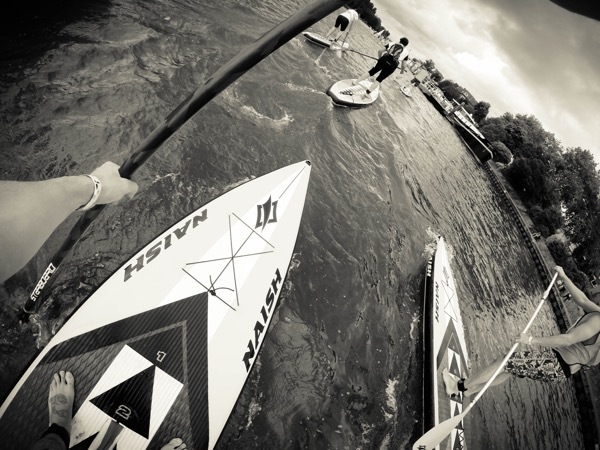 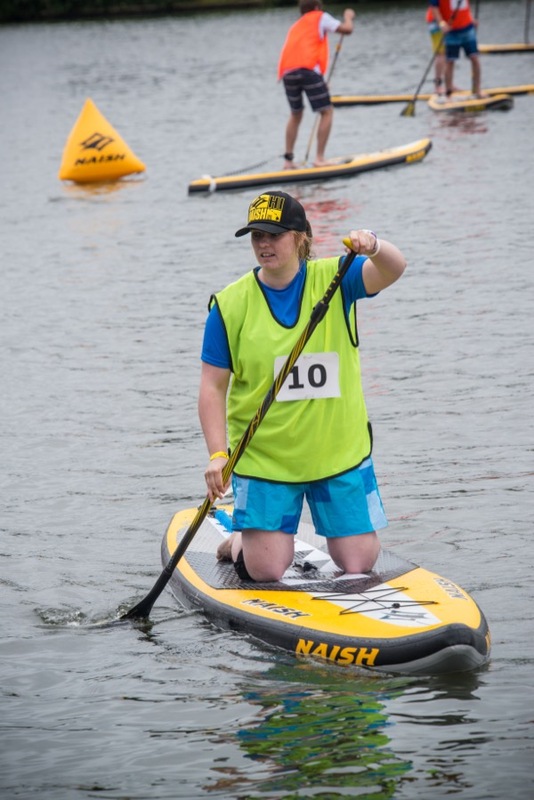 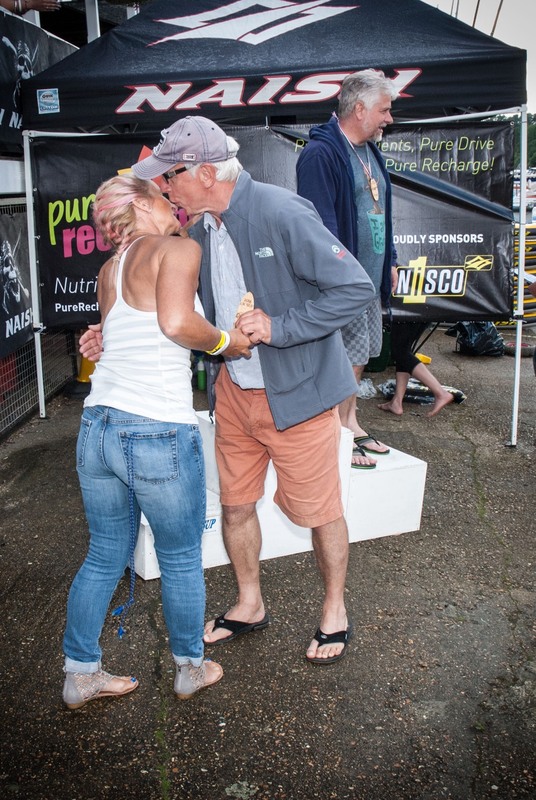 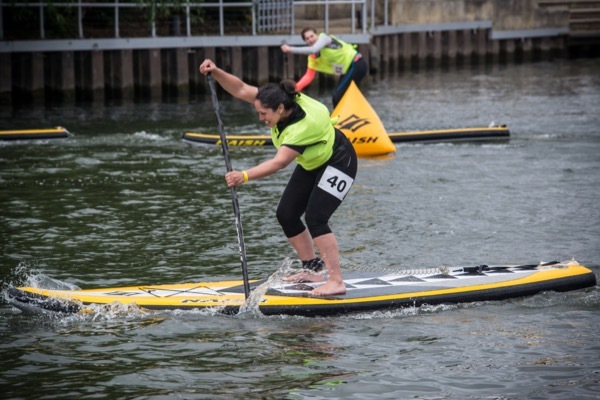 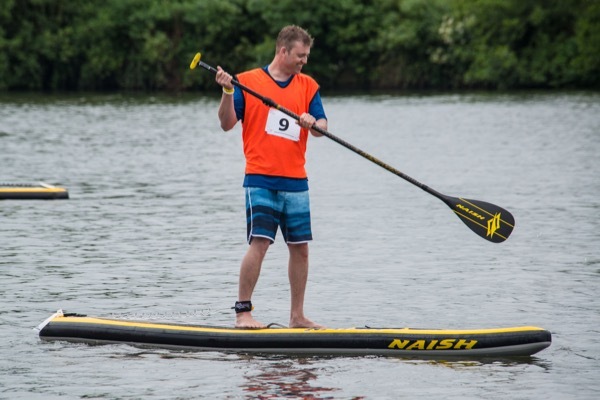 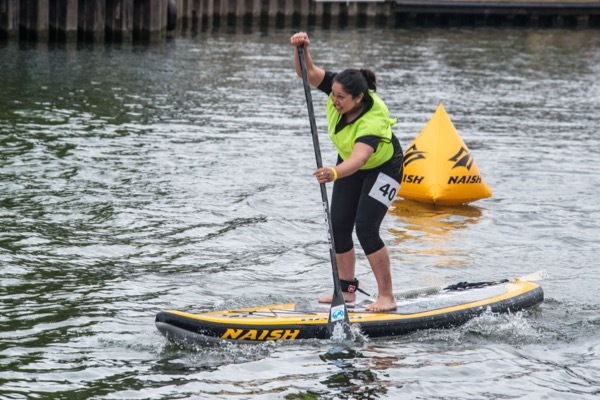 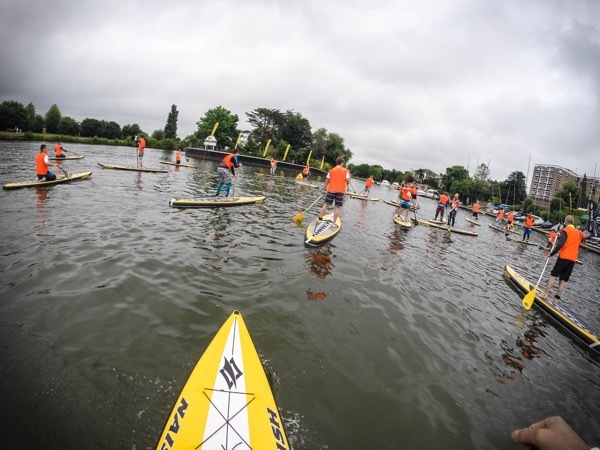 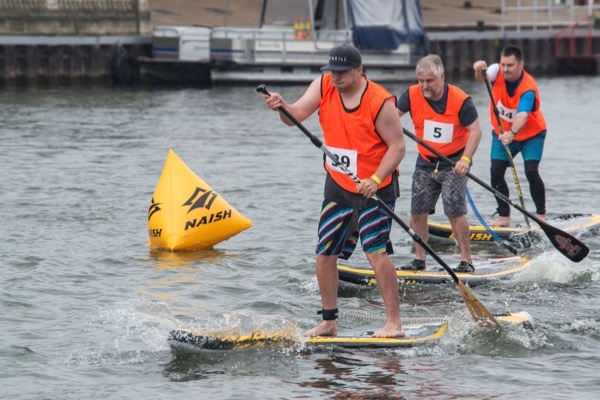 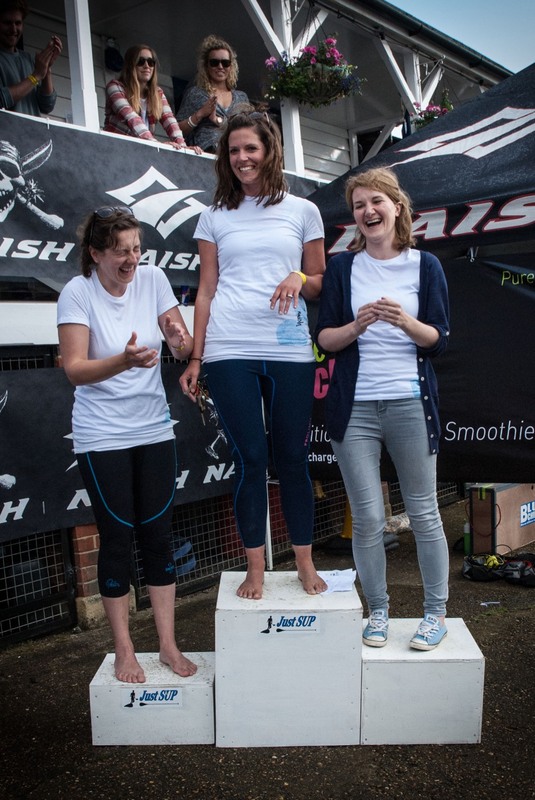 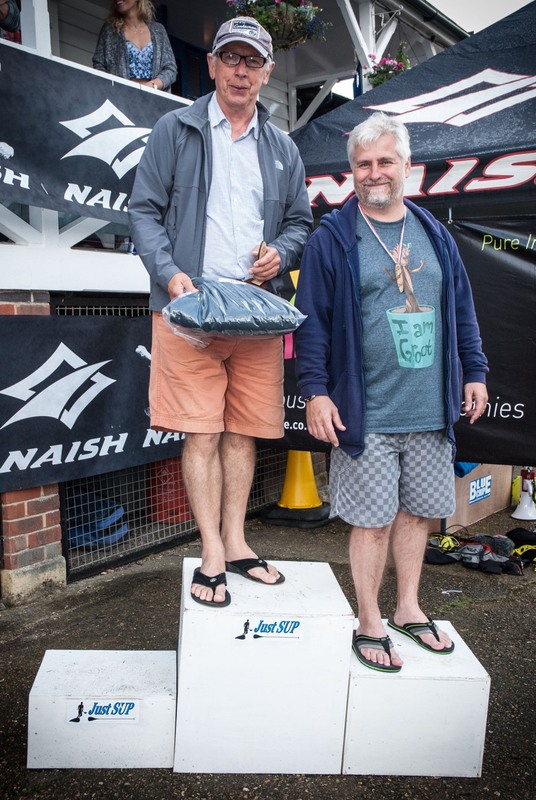 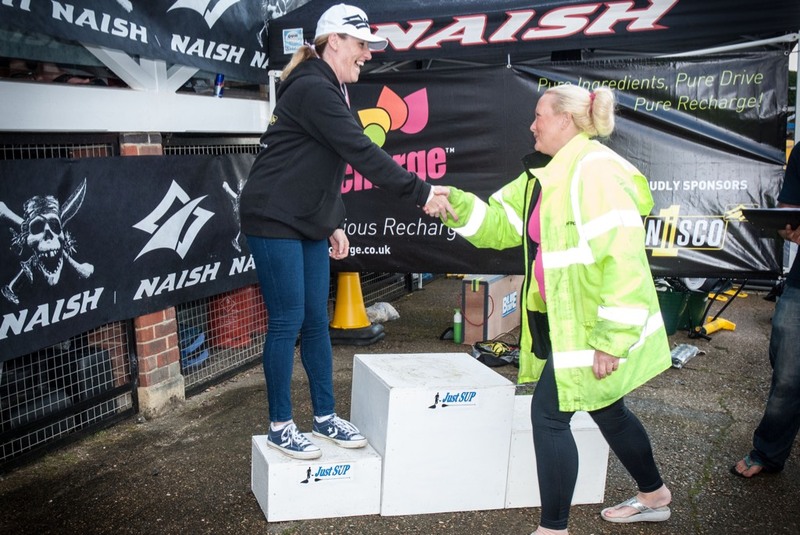 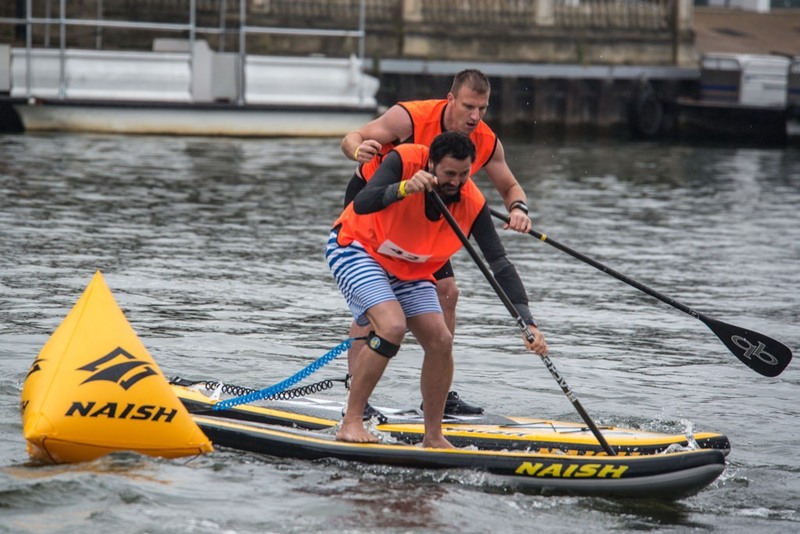 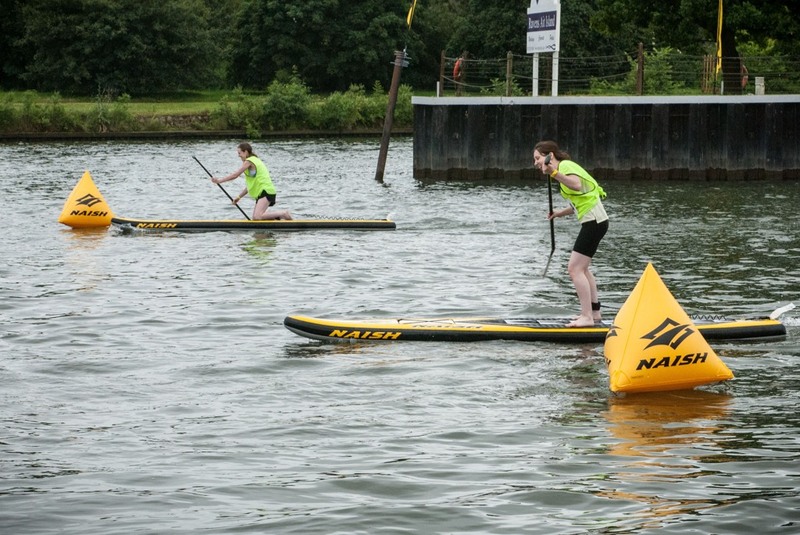 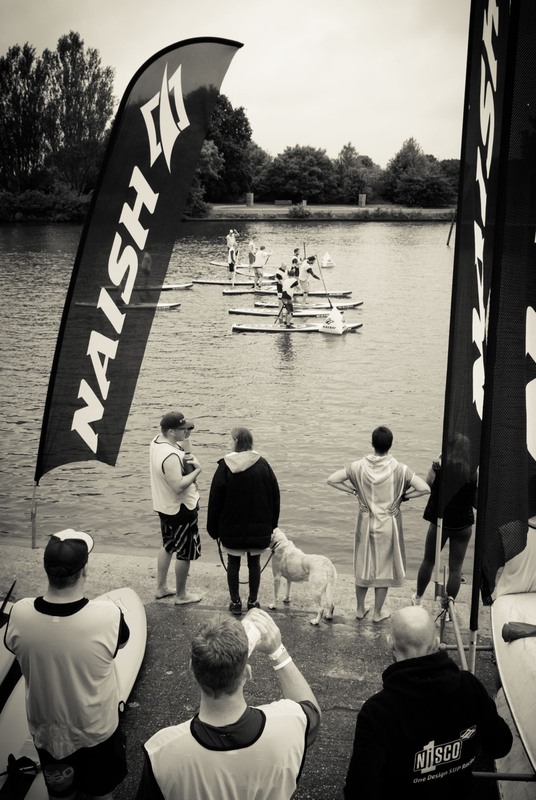 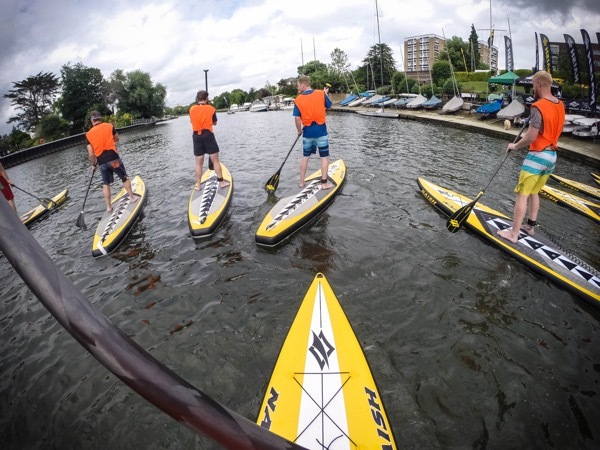 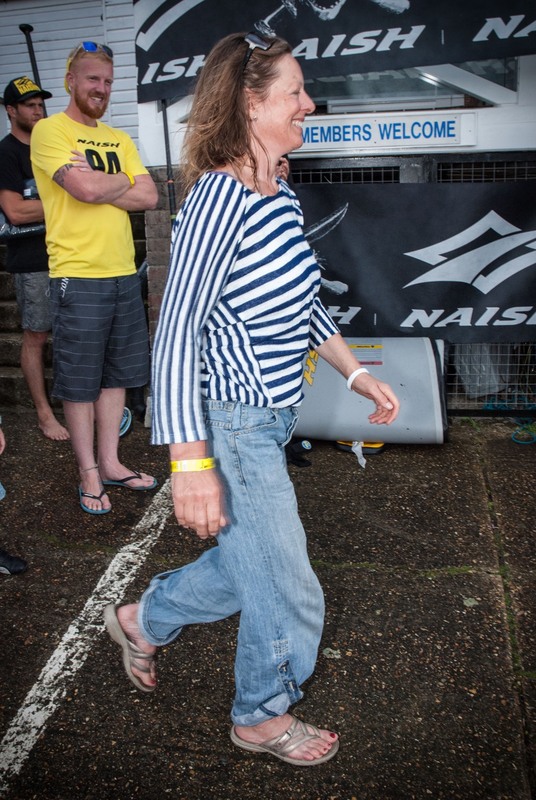 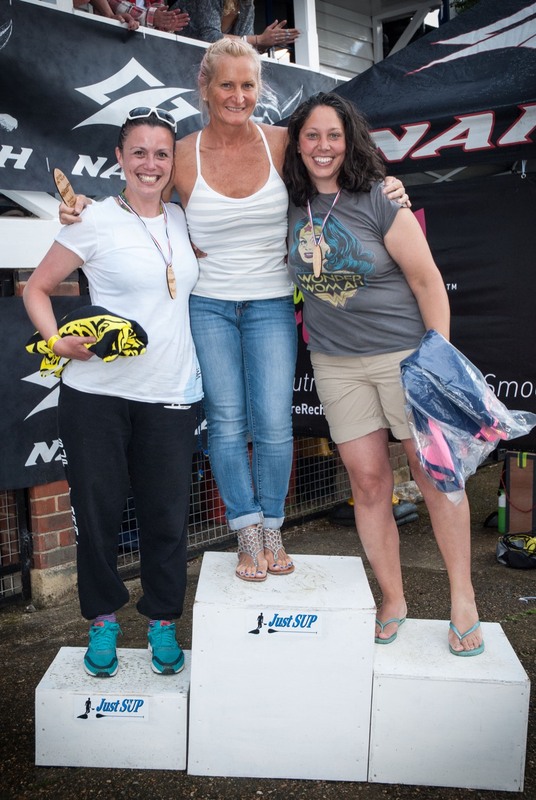 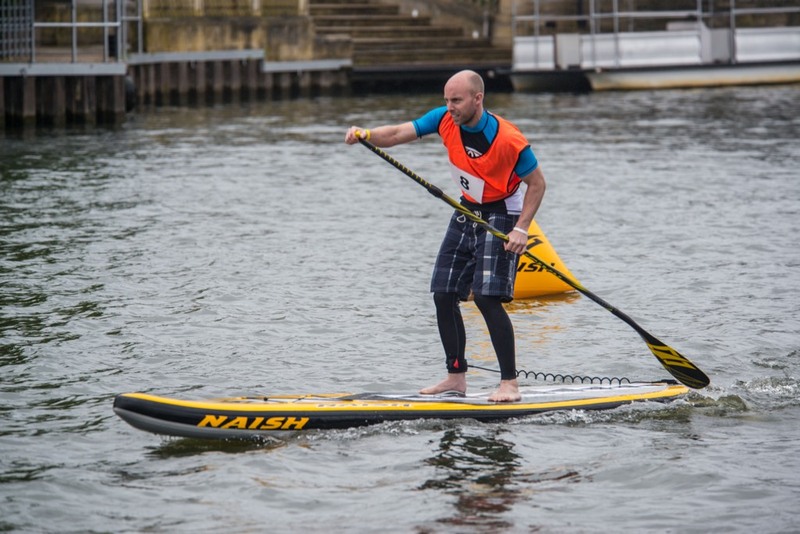 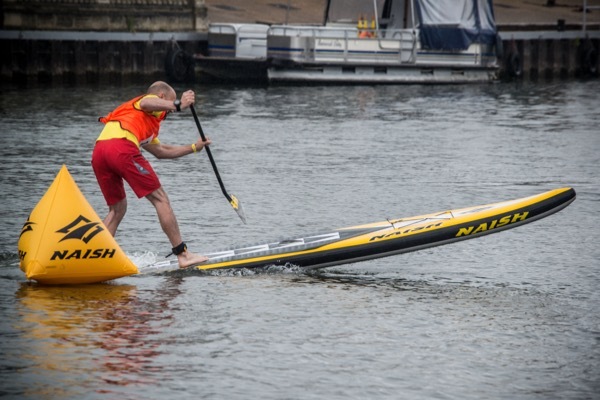 Over 60 competitors took to the water on the Thames in London last weekend, for the first ever Naish One Design Racing Inland Championships. 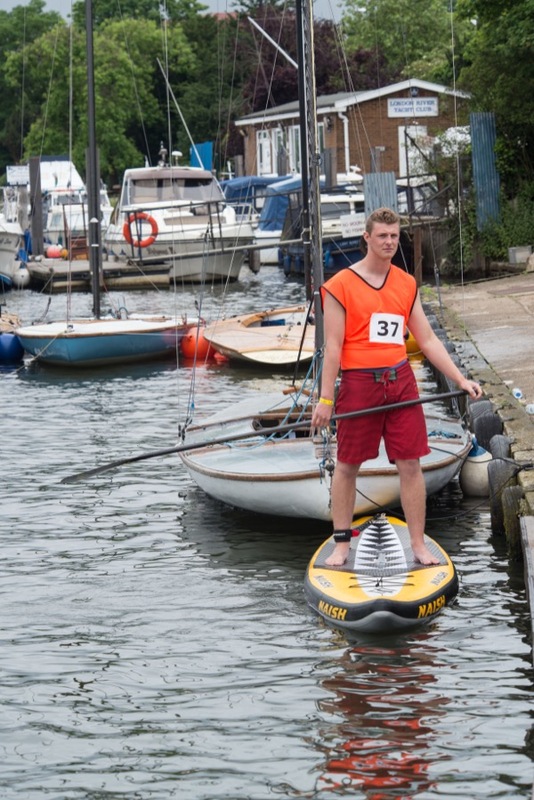 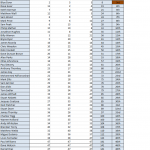 This event is the inland lead up event to the Nationals which will be held in Weymouth on the 9th July. 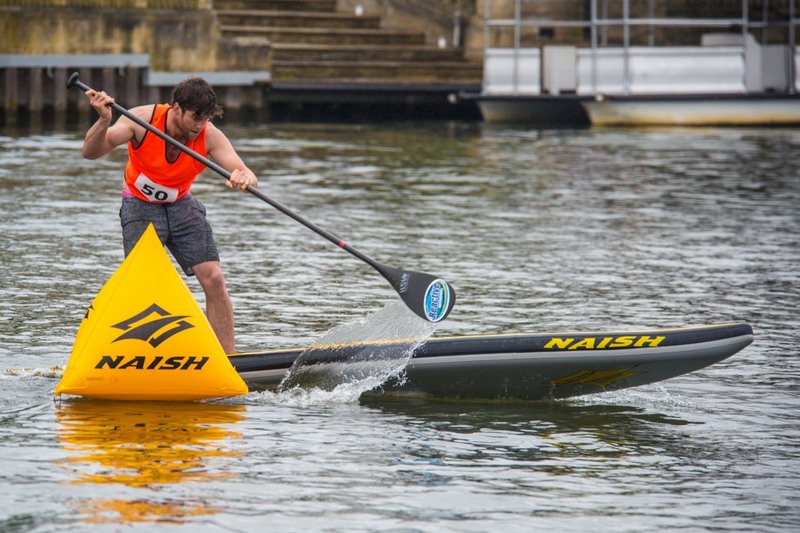 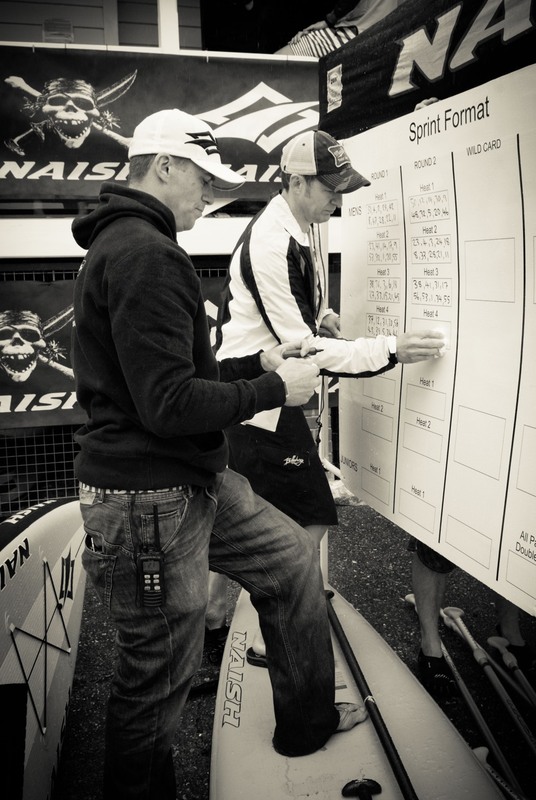 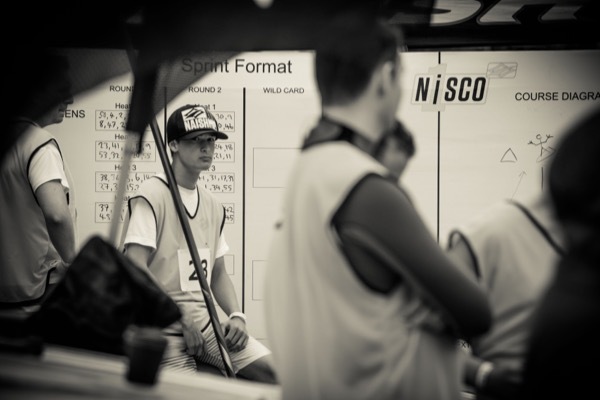 In true Naish One Design racing (N1SCO) style there was a great turn out with both experienced racers and complete novices sharing the start line. 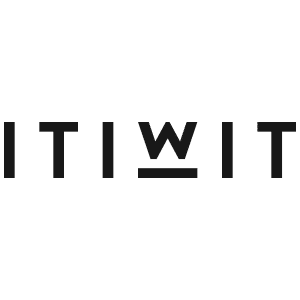 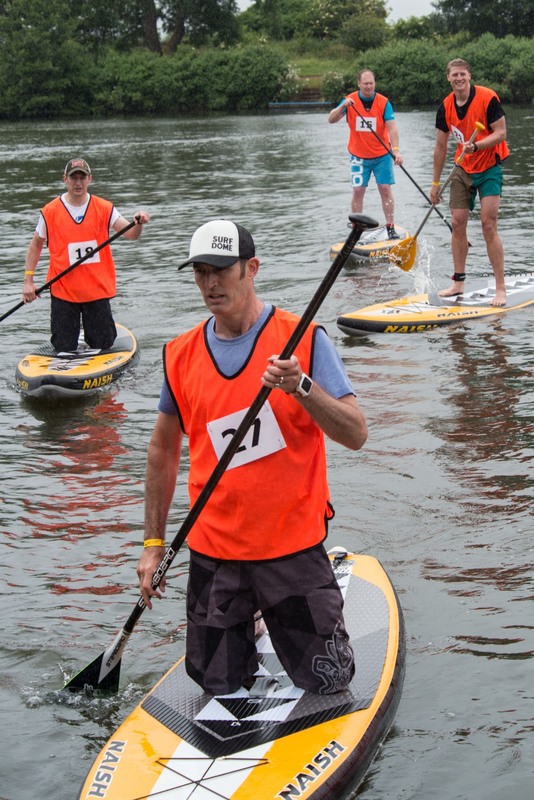 Check out the highlight video to get a feel for the event. 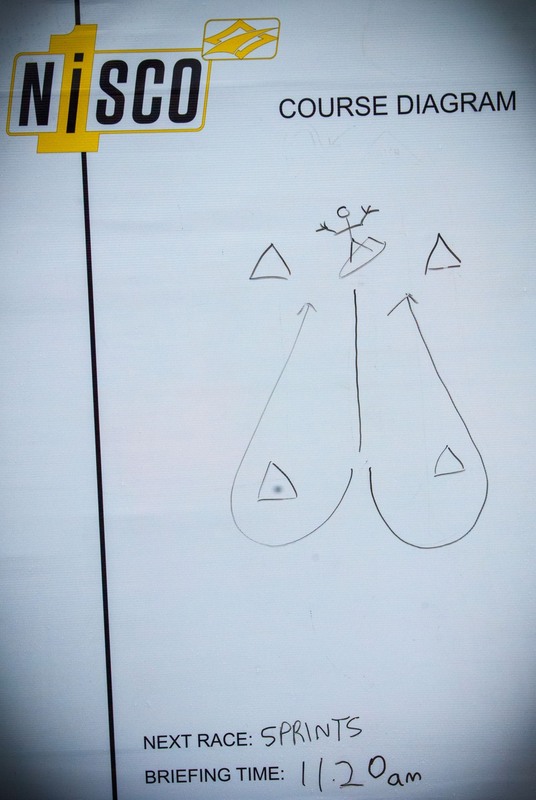 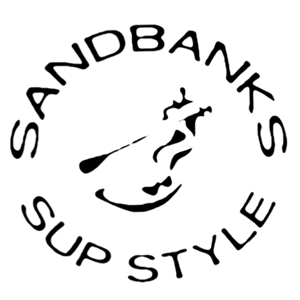 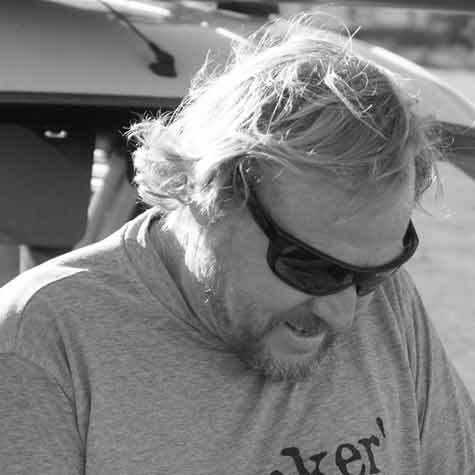 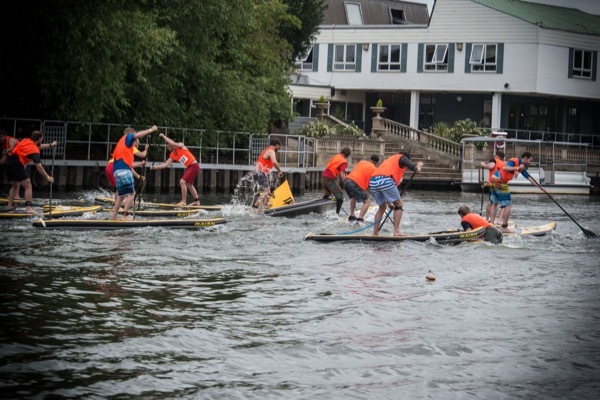 One thing is for sure… the SUPboarder crew will be back for more. 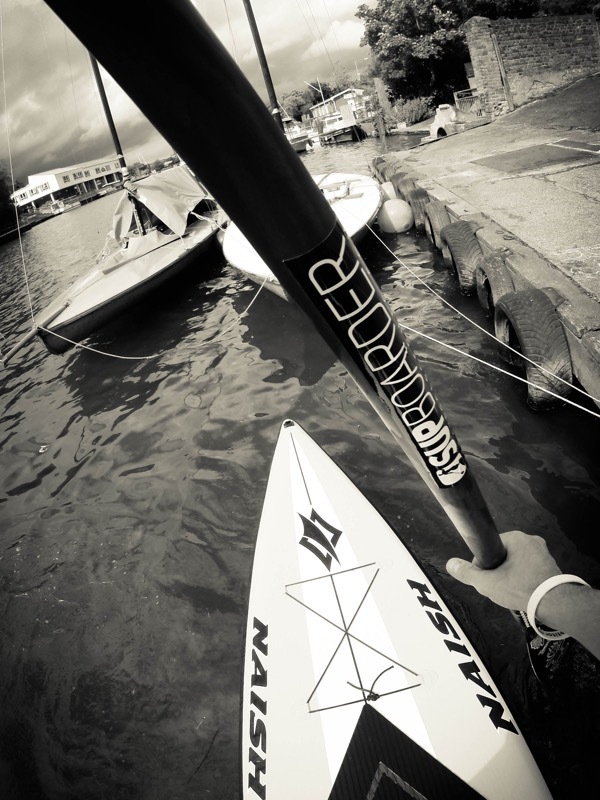 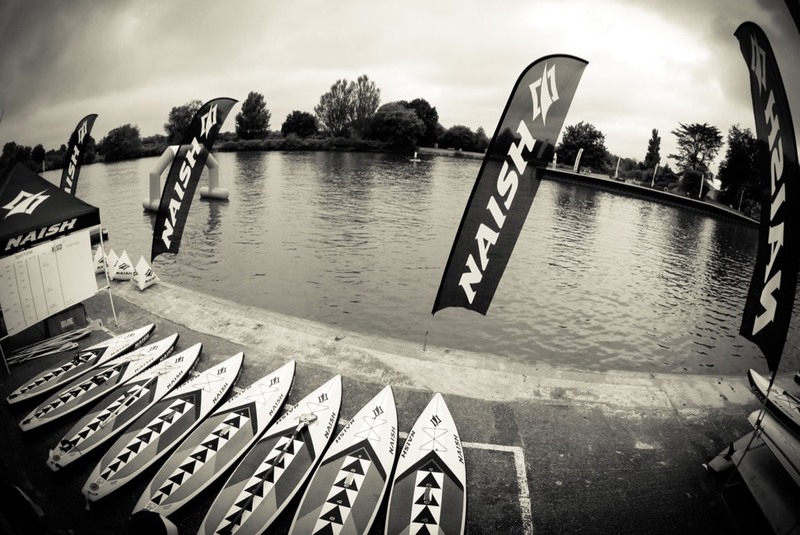 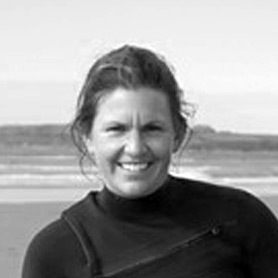 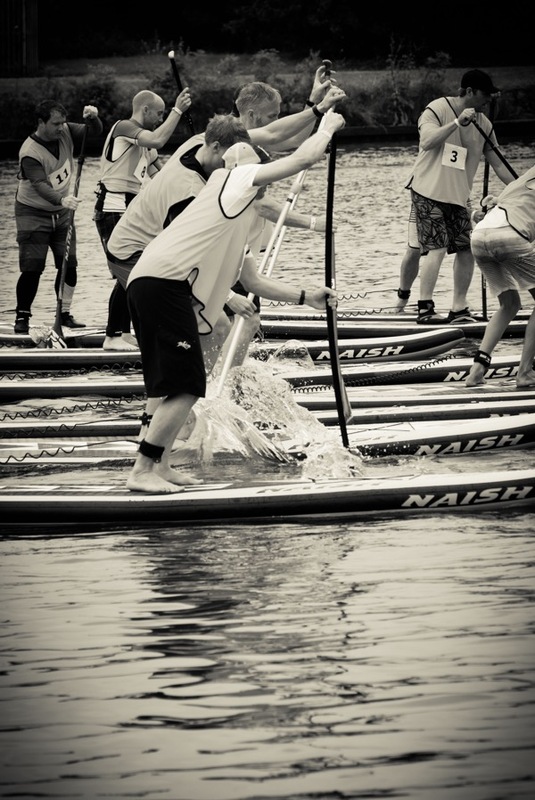 To get involved in the Weymouth event check out : www.supboardermag.com/naishentry and to find out more about Naish One Design N1SCO click here. 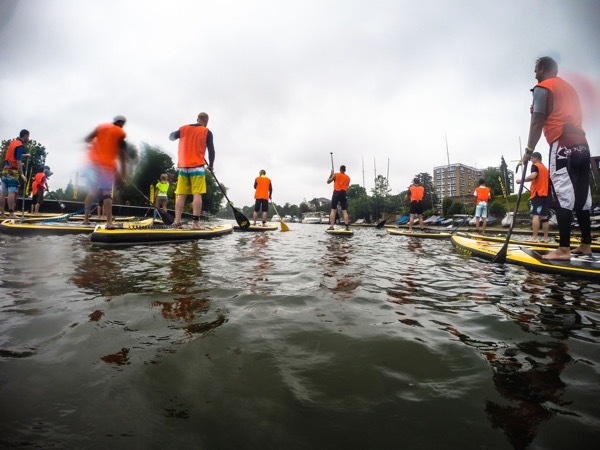 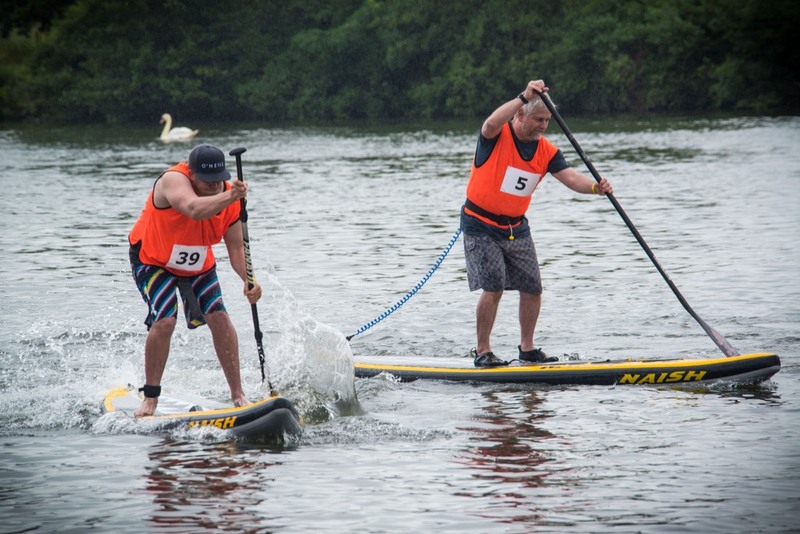 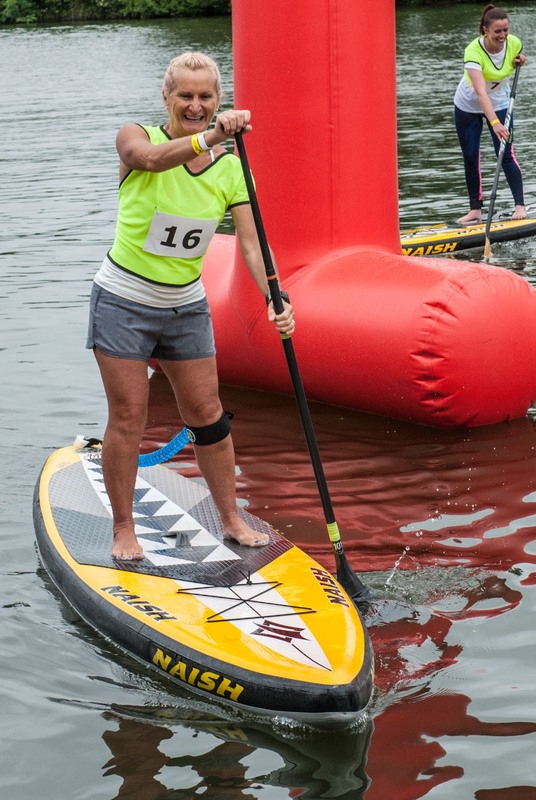 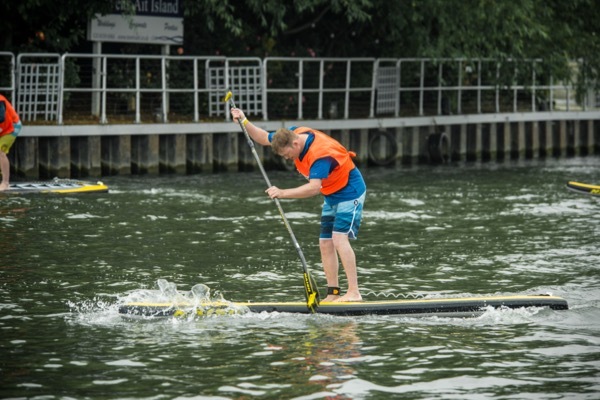 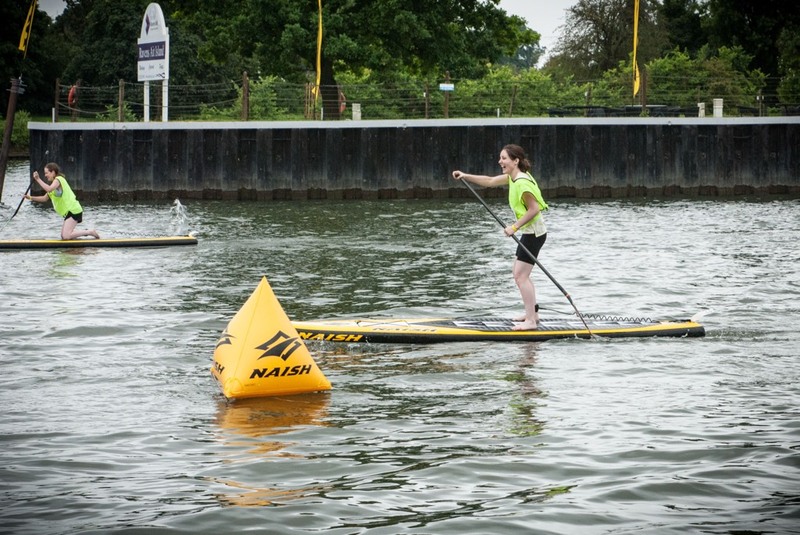 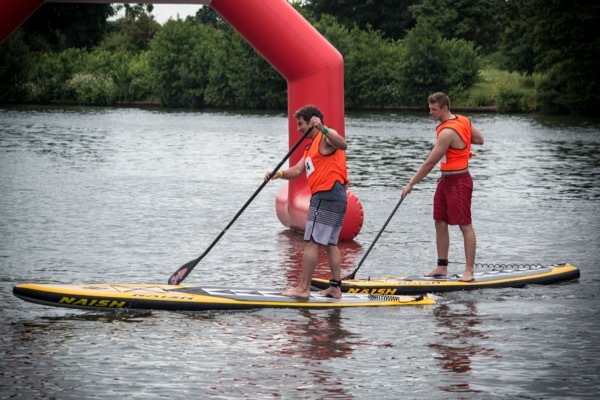 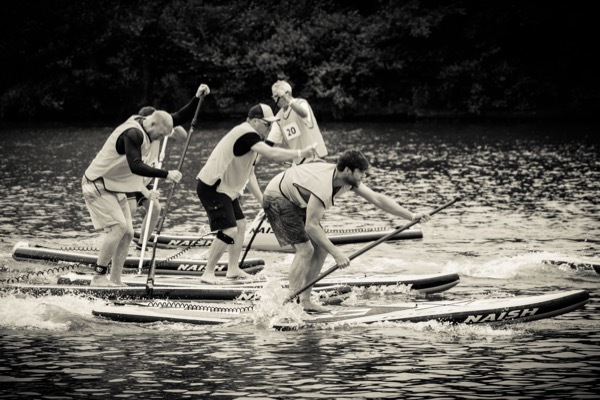 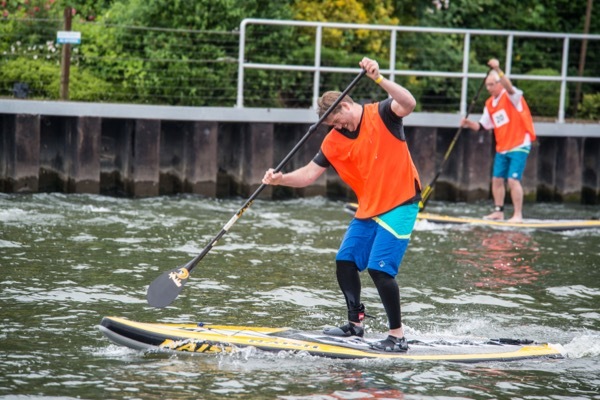 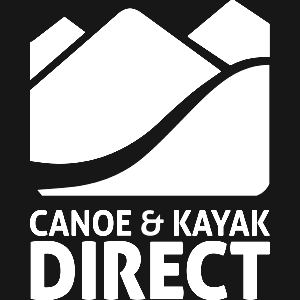 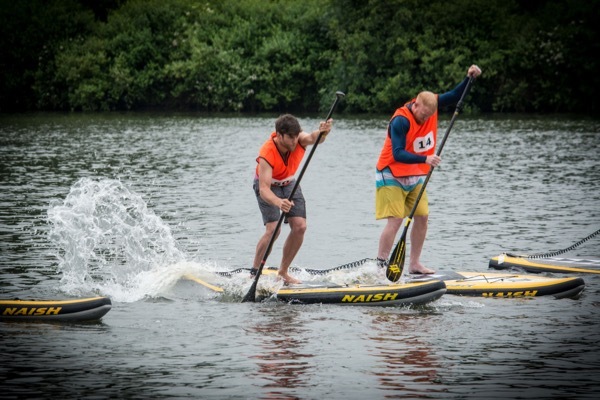 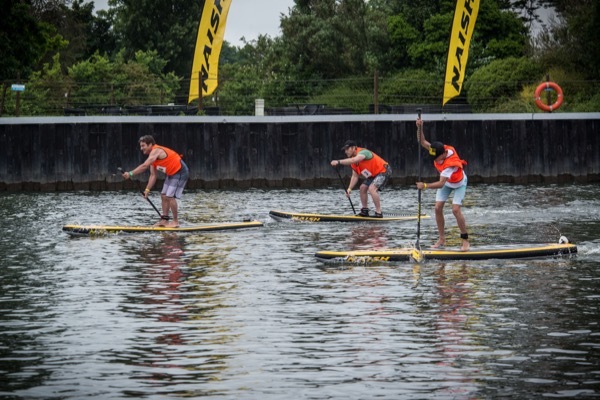 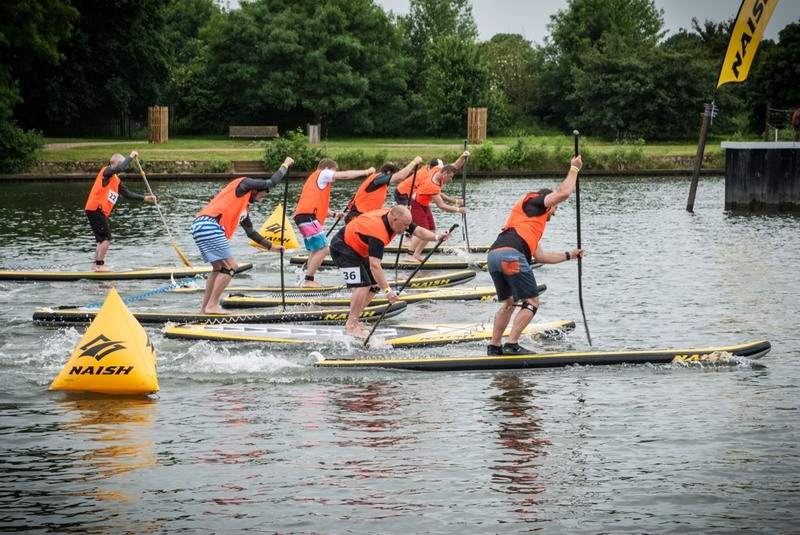 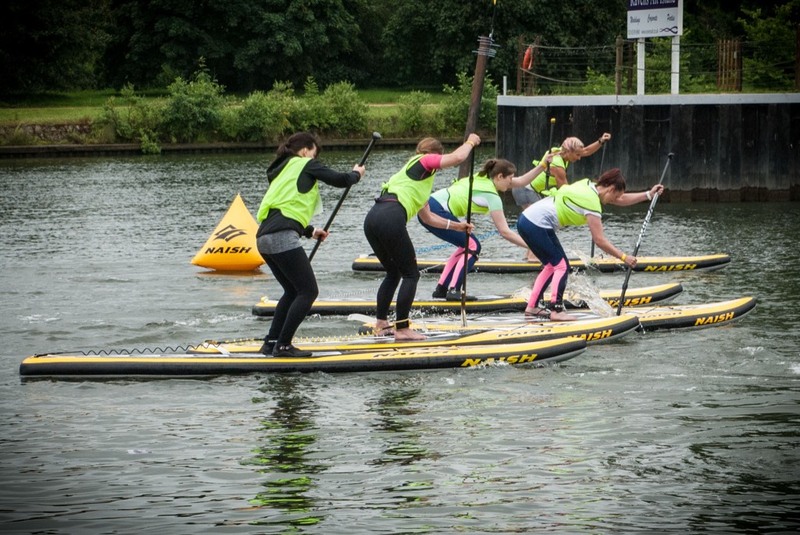 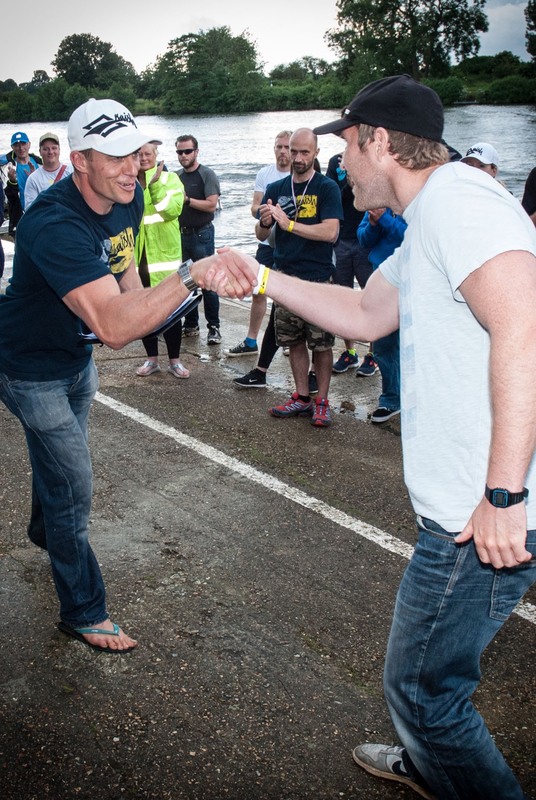 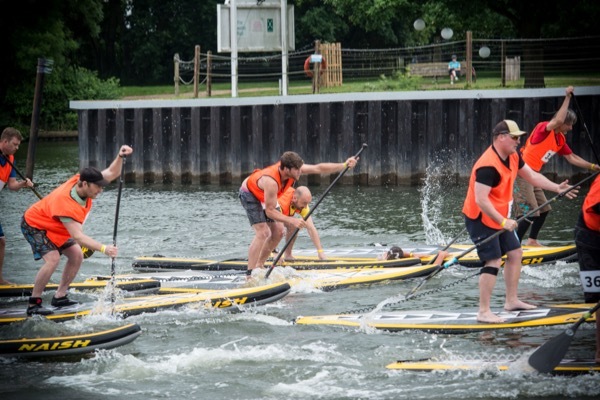 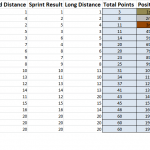 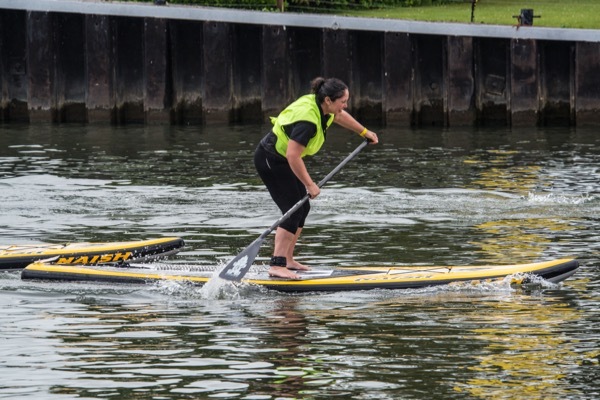 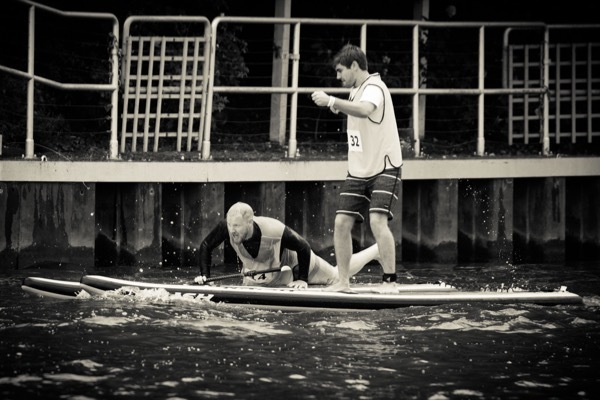 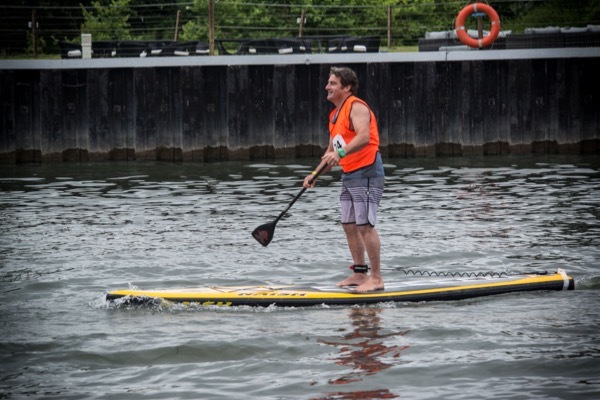 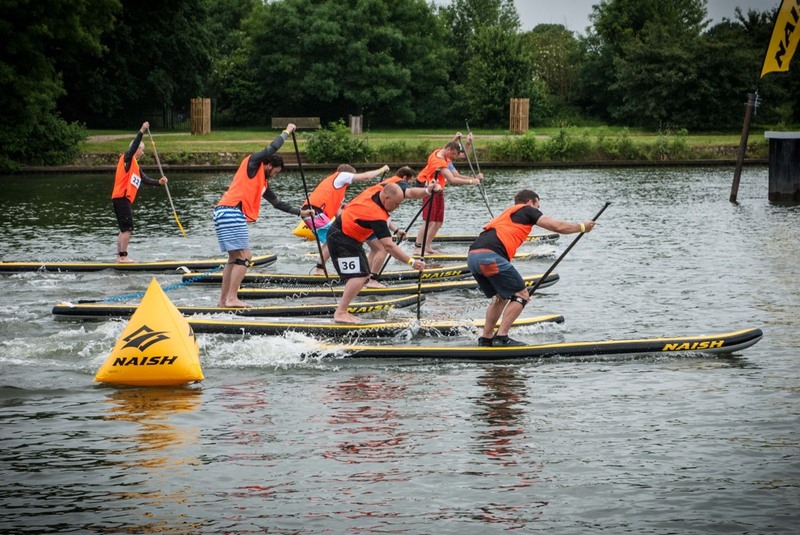 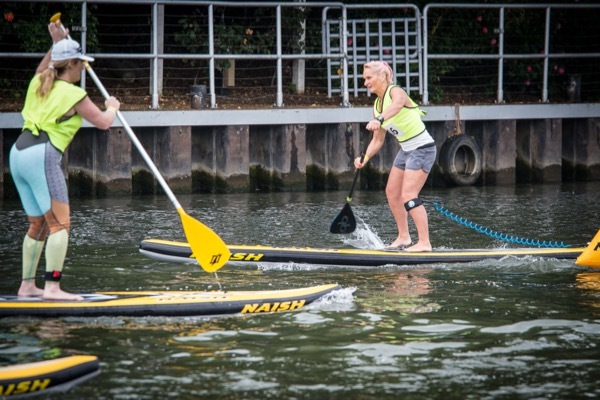 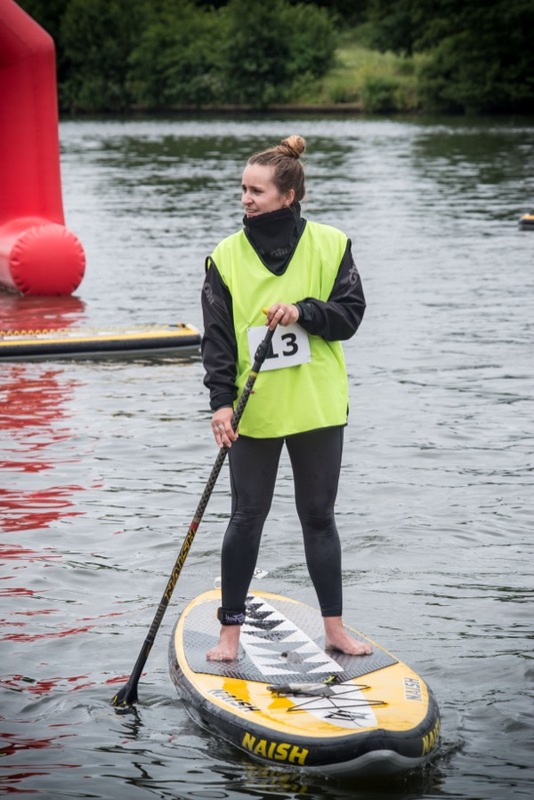 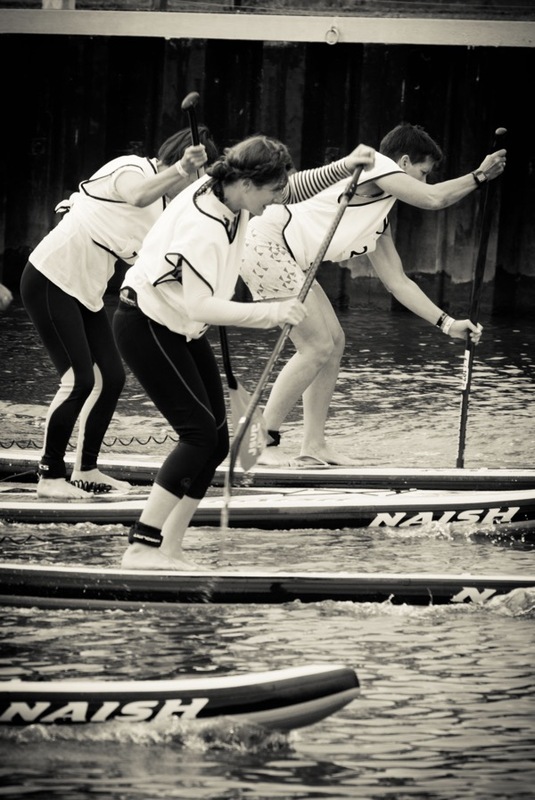 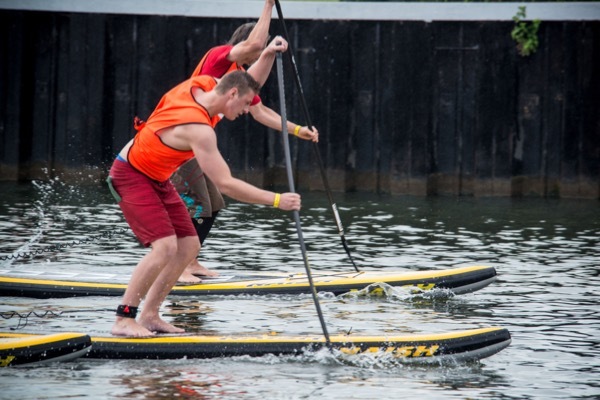 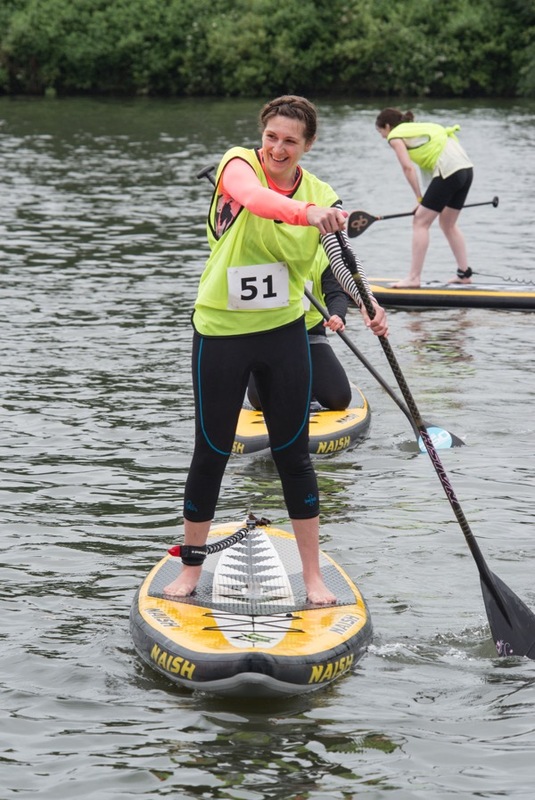 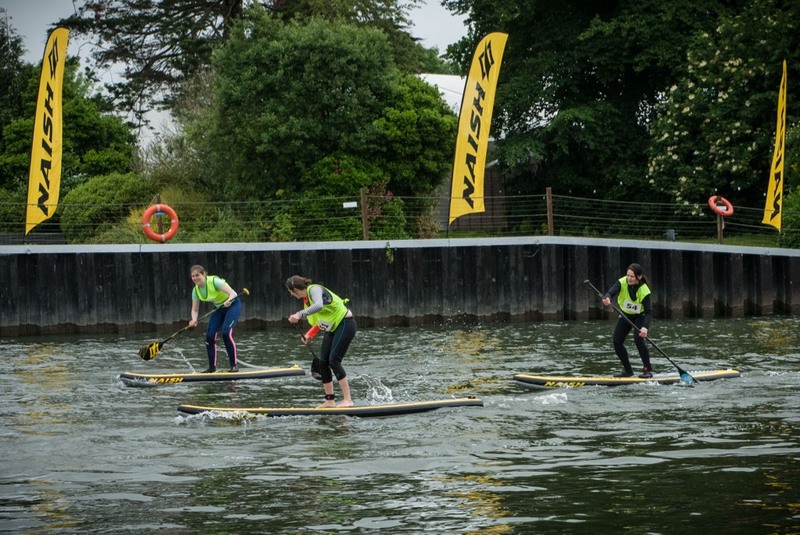 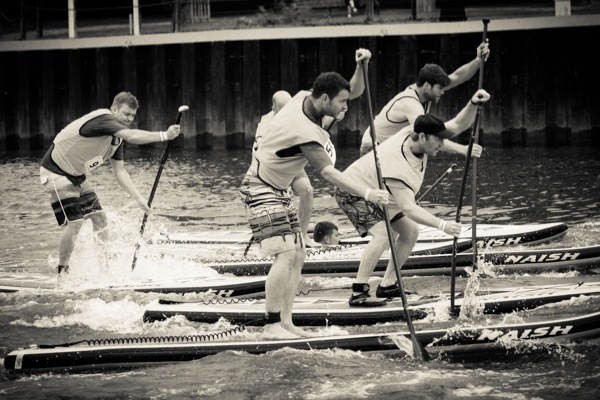 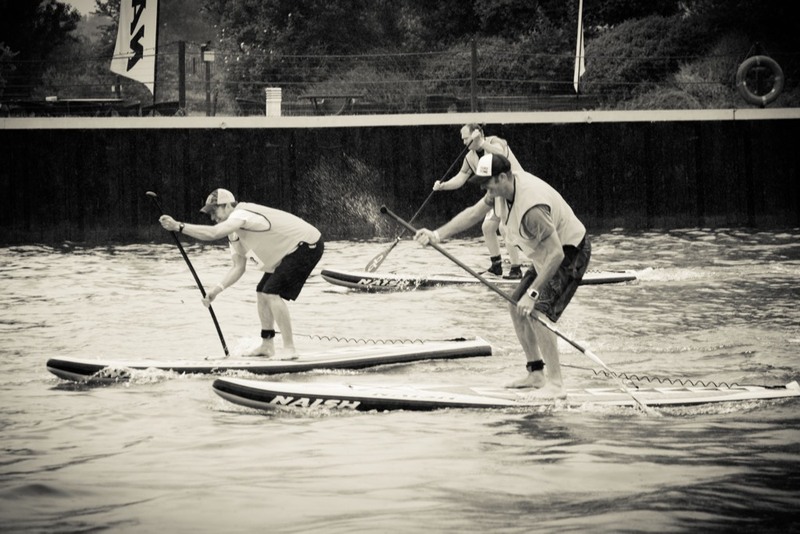 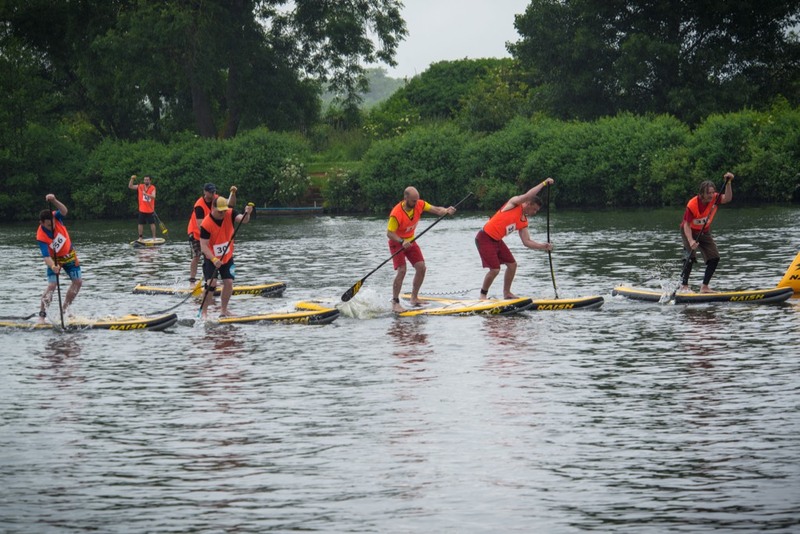 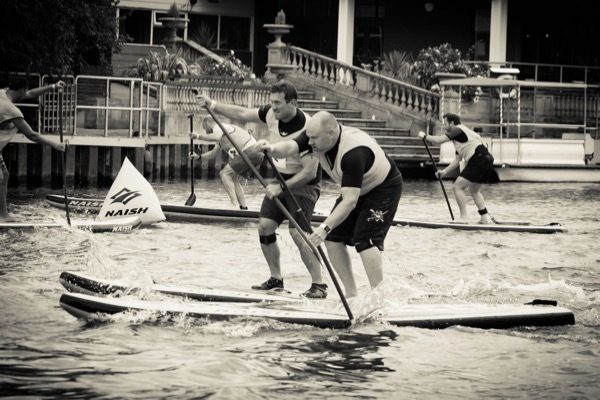 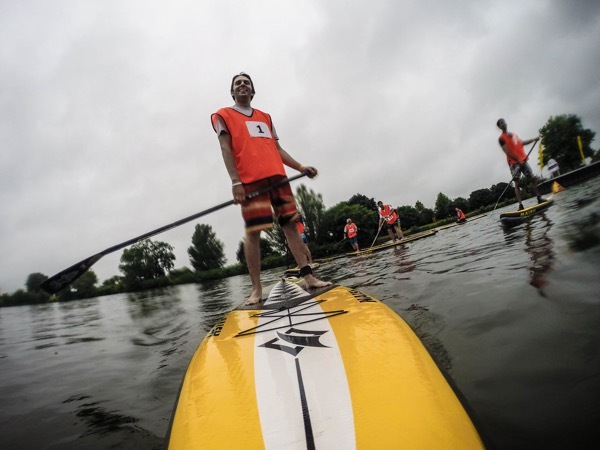 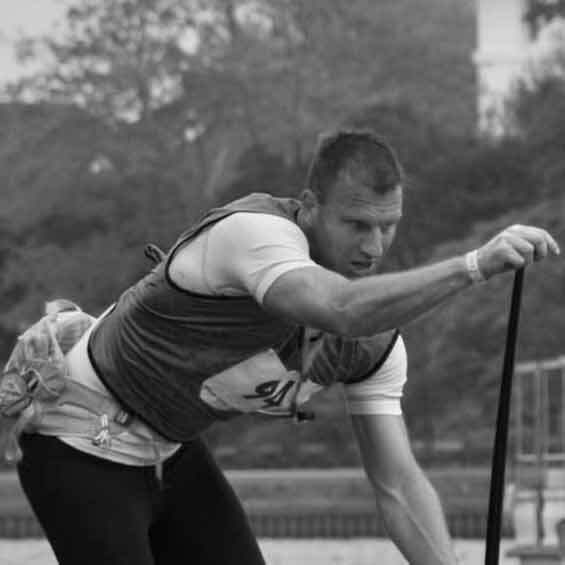 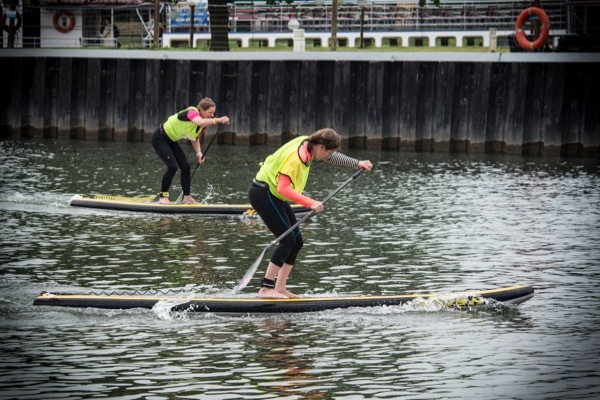 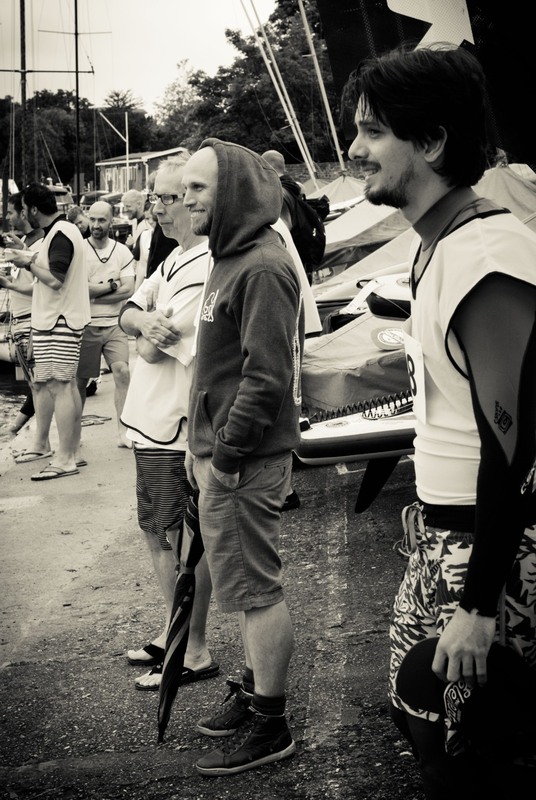 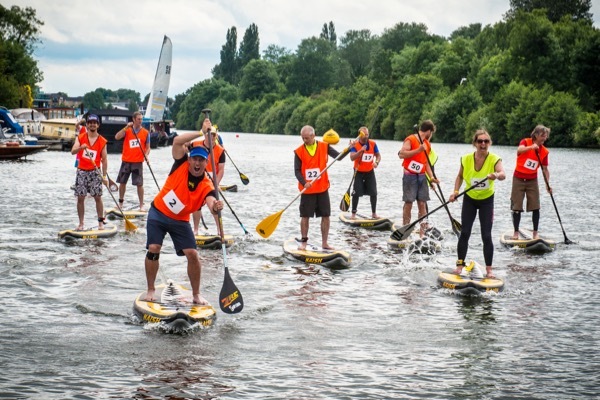 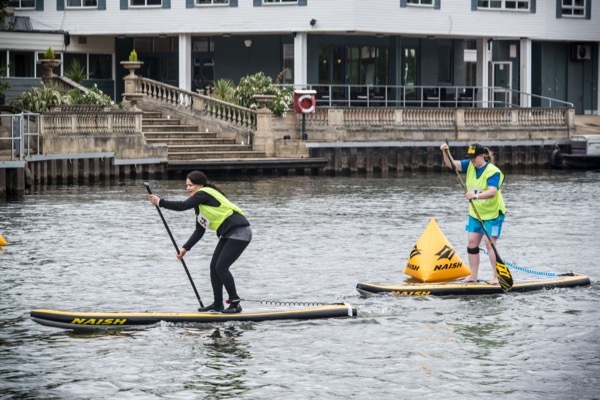 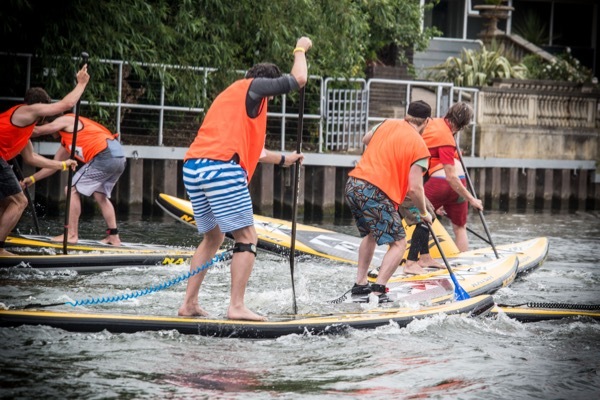 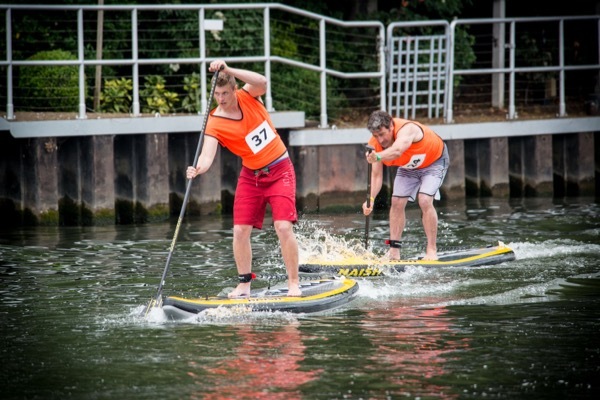 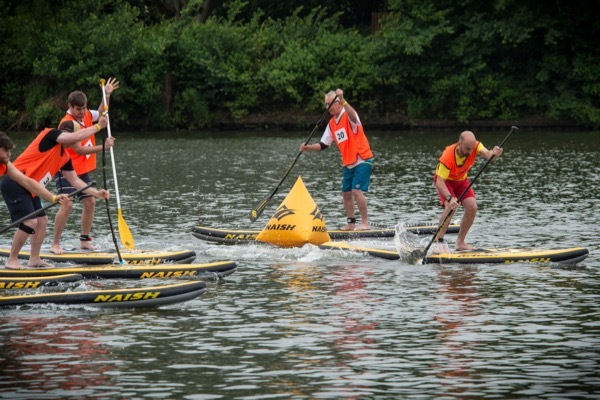 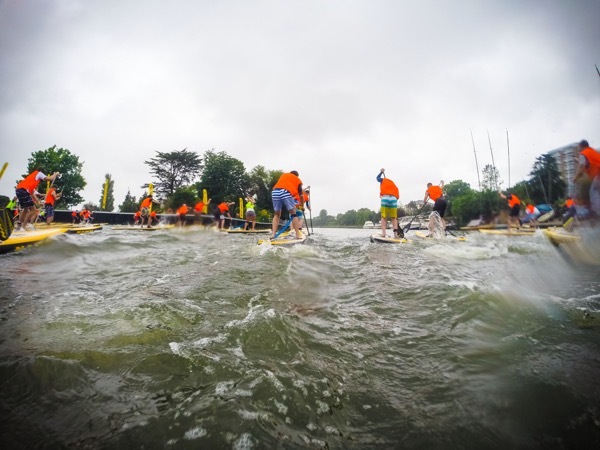 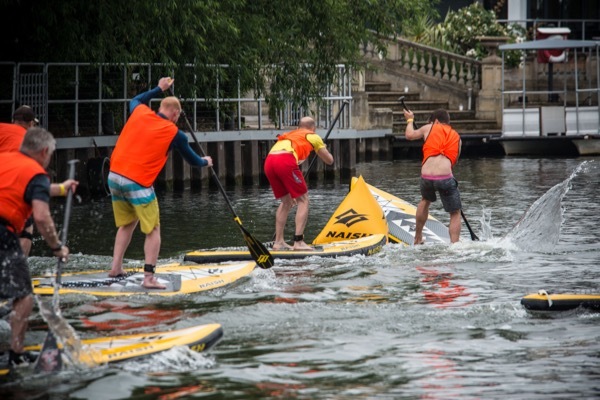 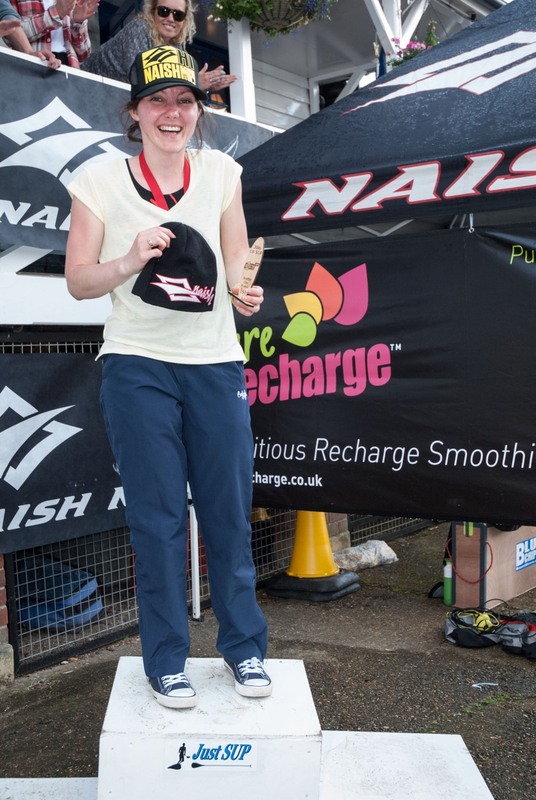 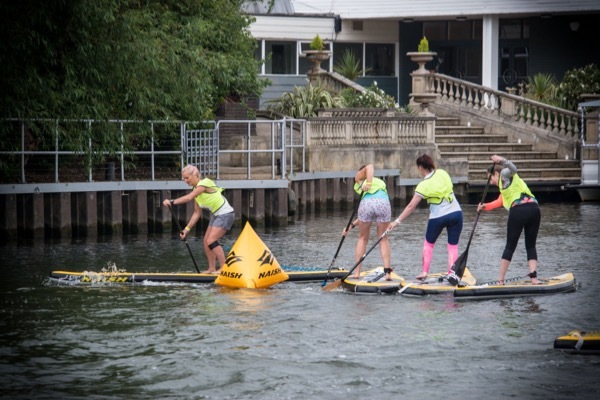 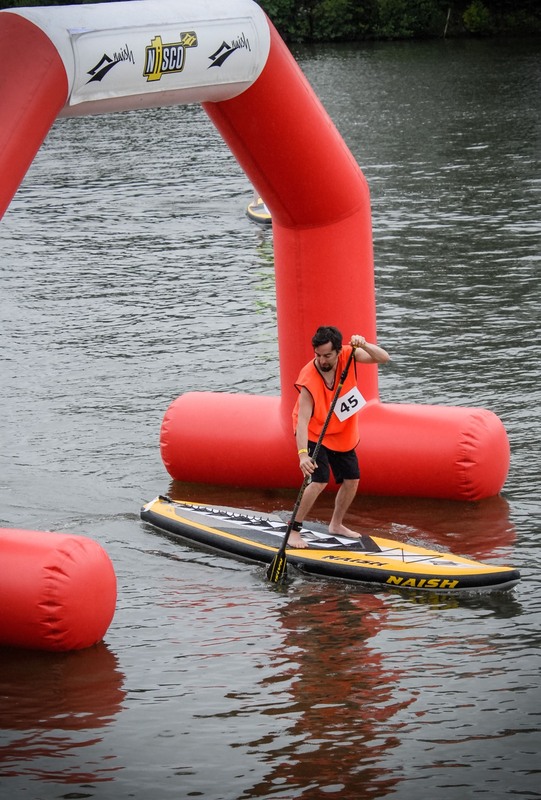 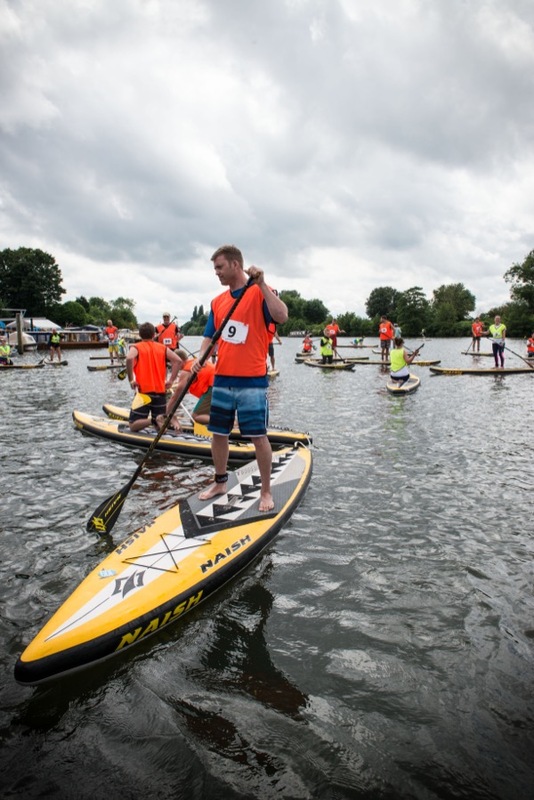 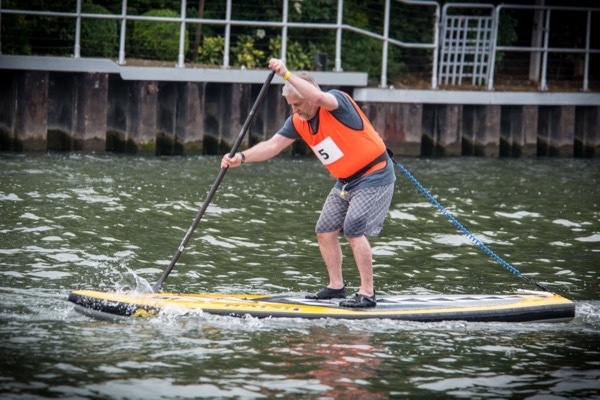 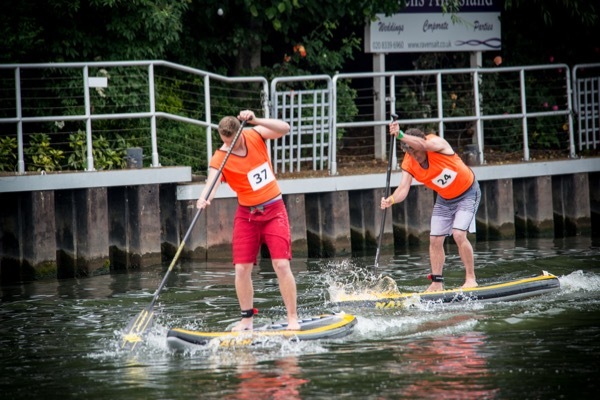 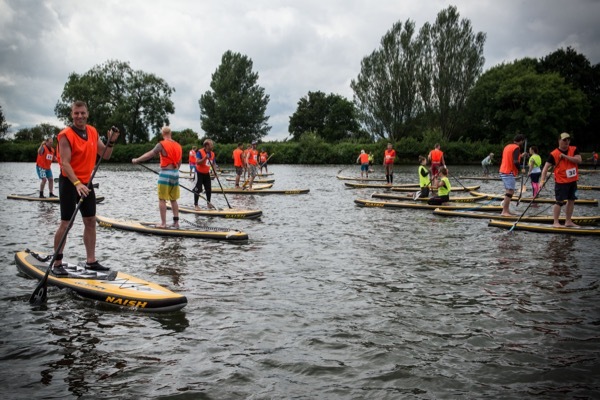 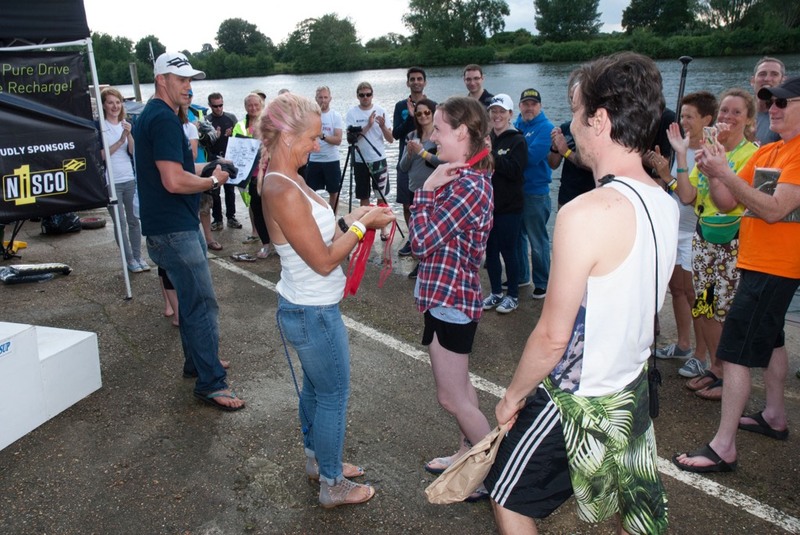 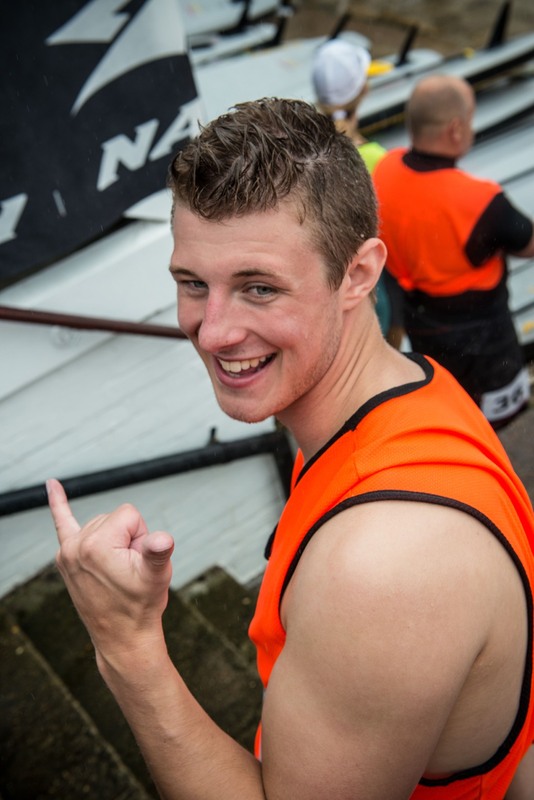 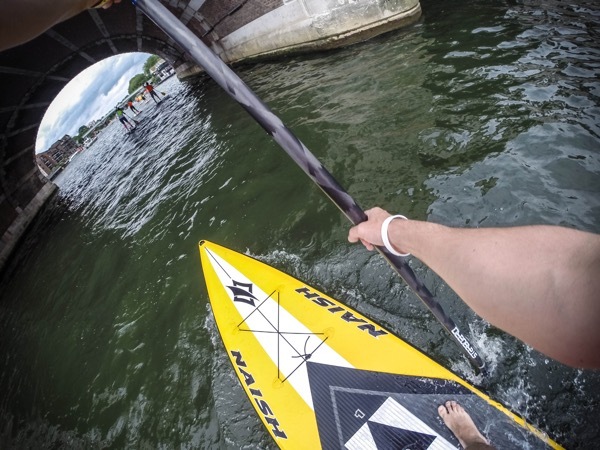 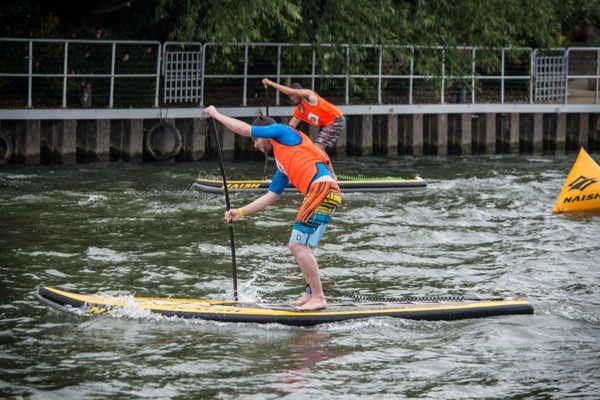 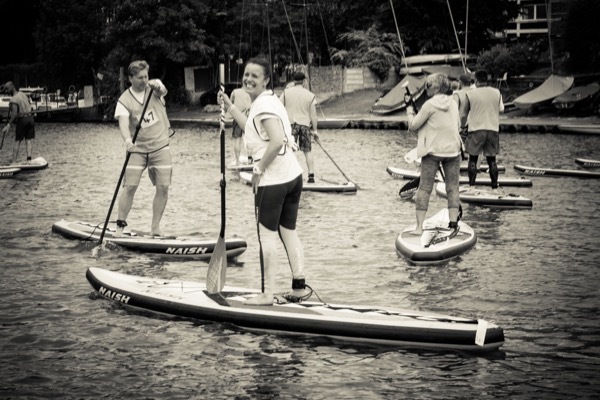 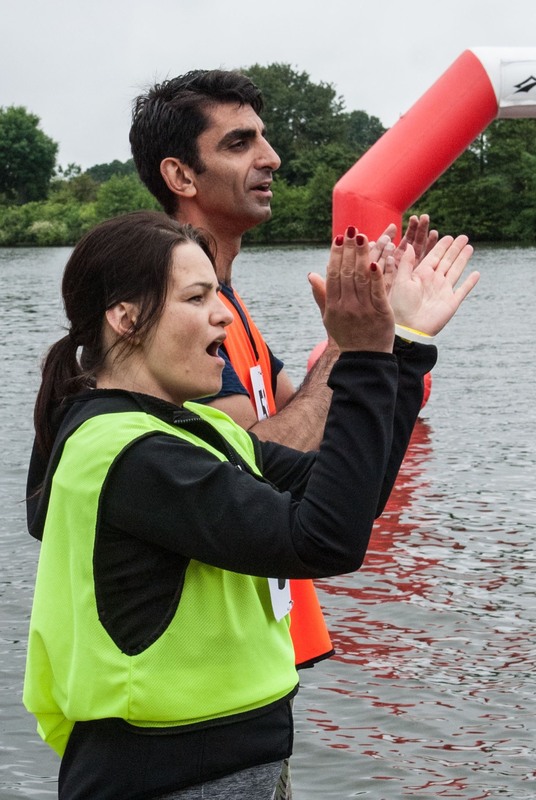 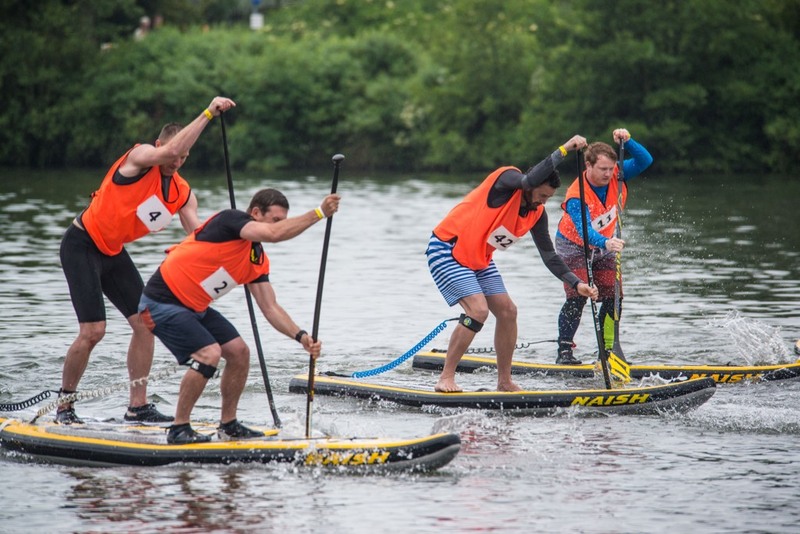 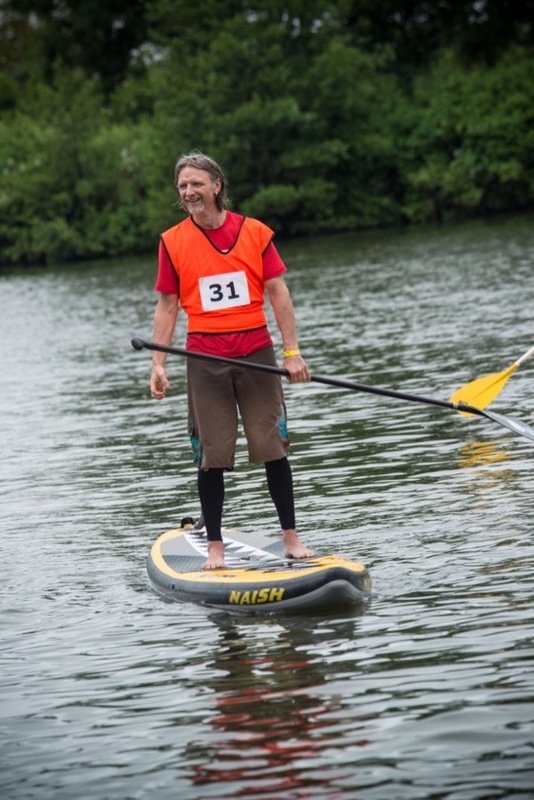 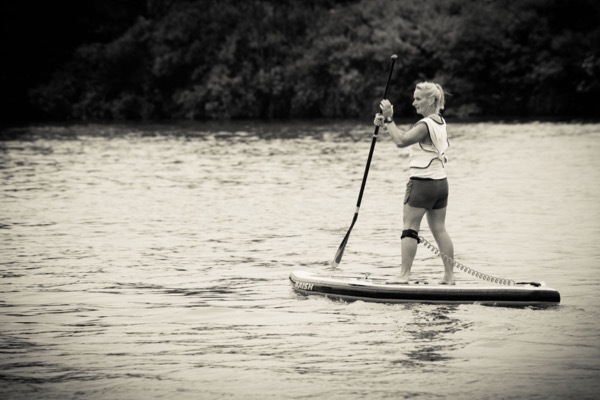 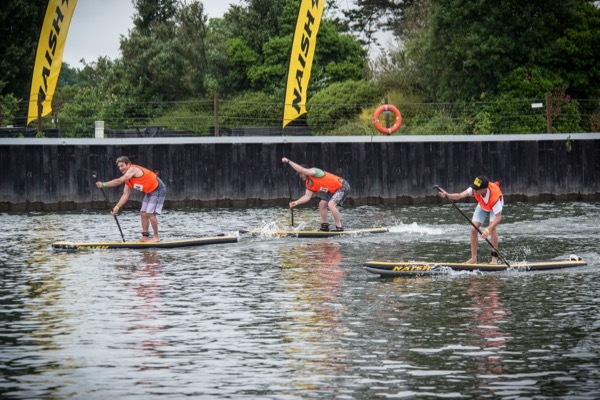 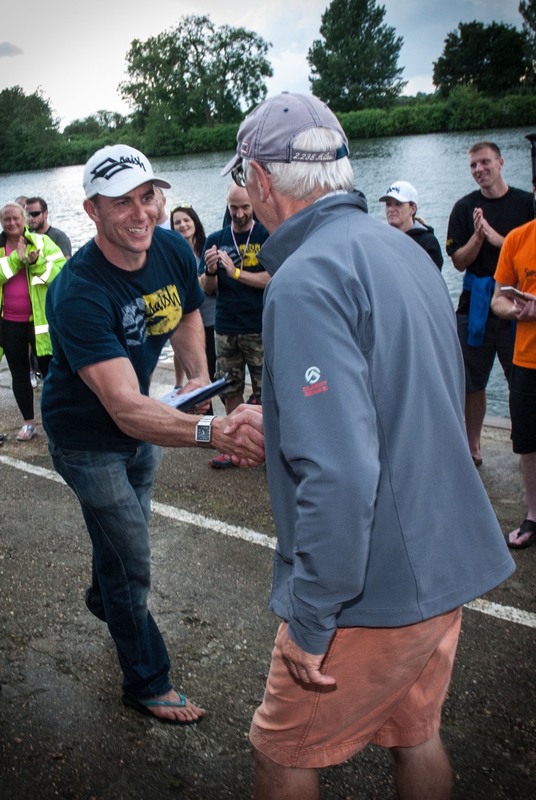 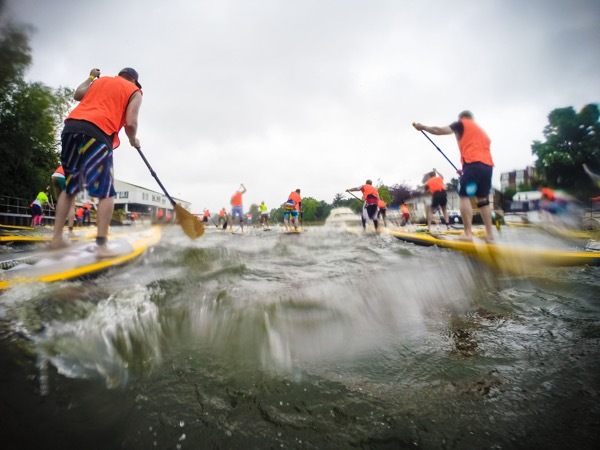 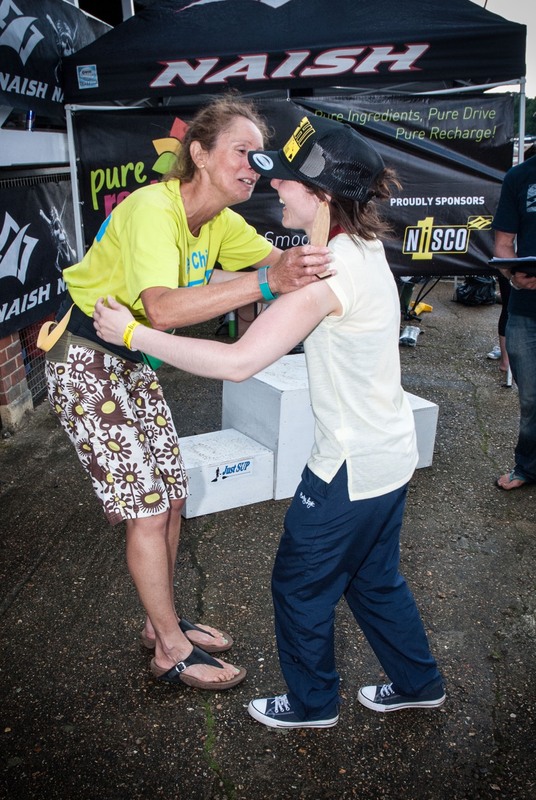 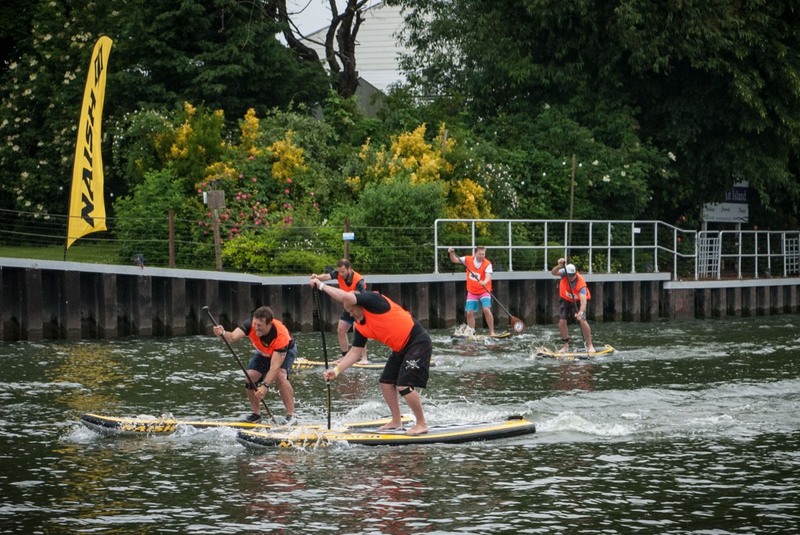 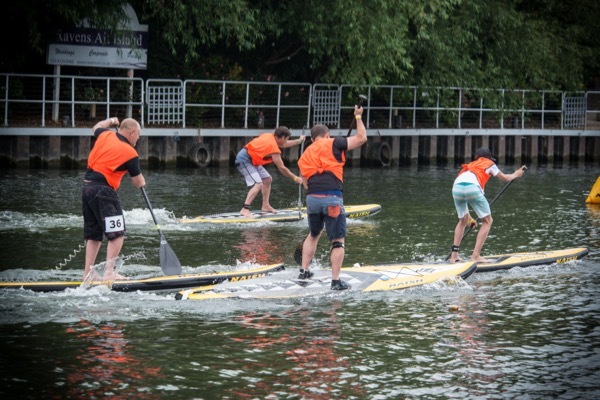 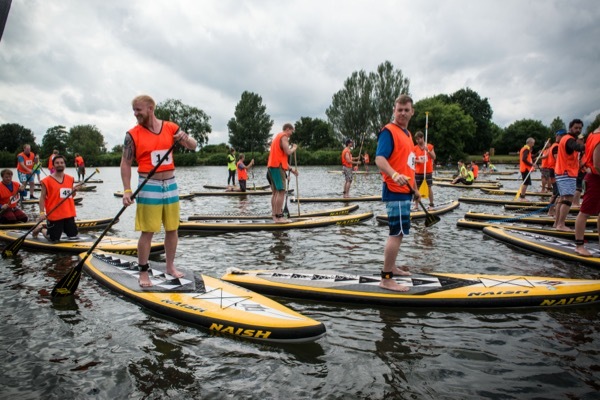 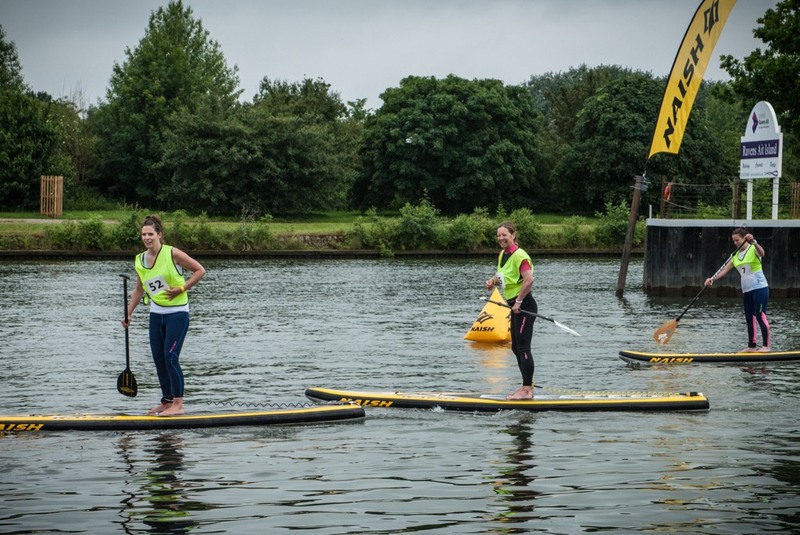 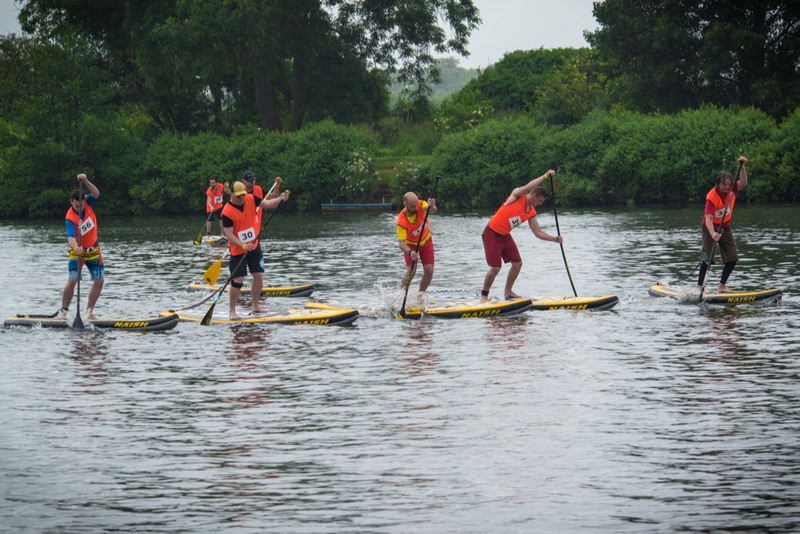 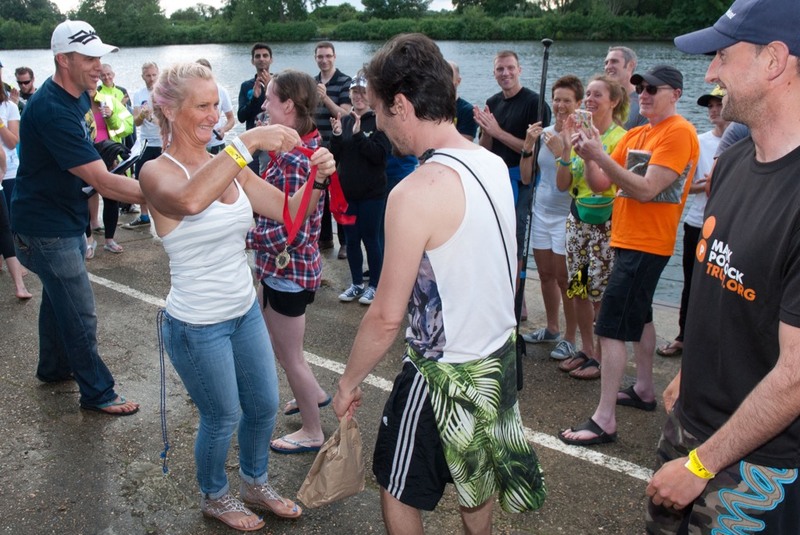 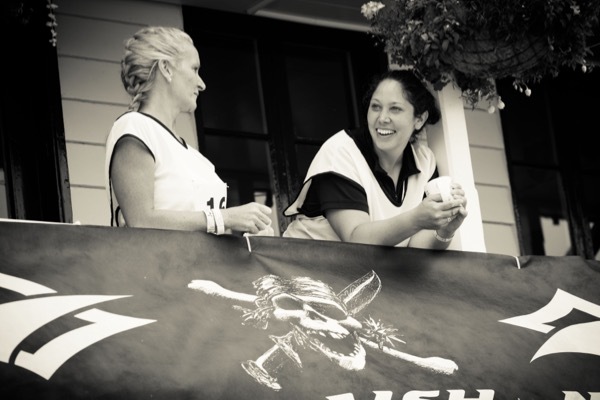 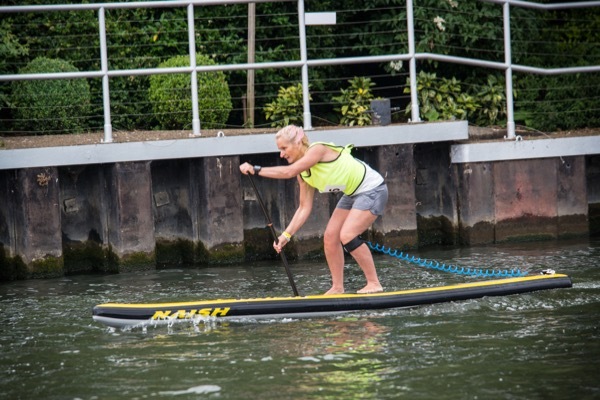 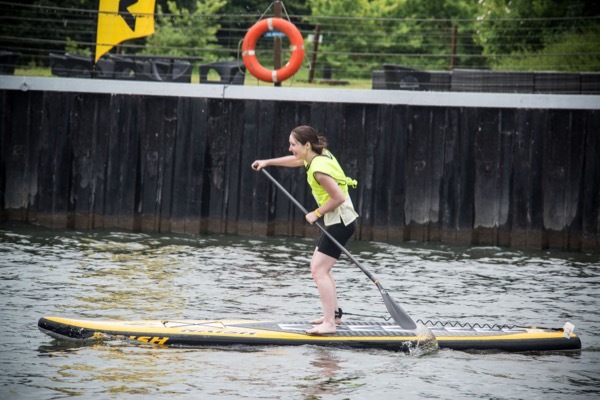 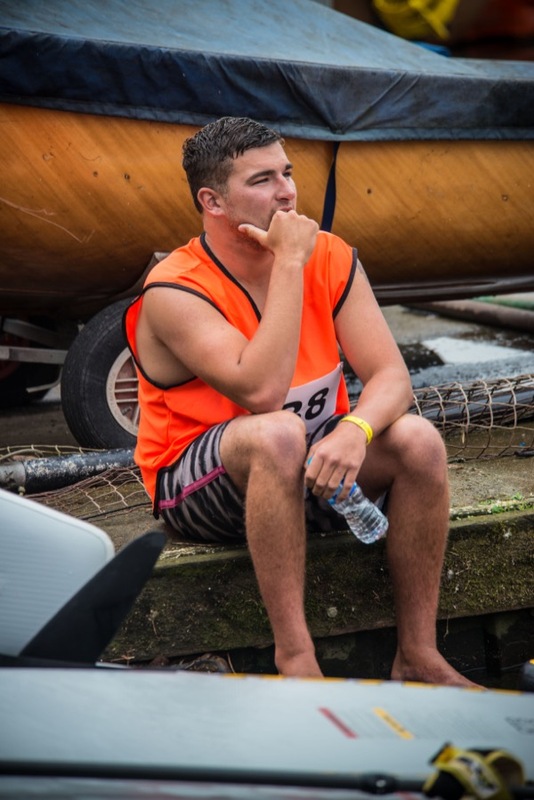 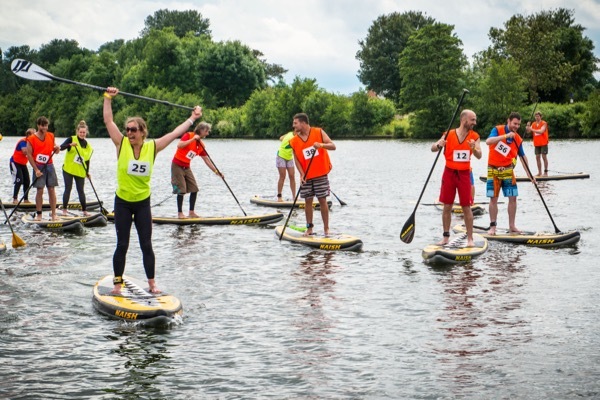 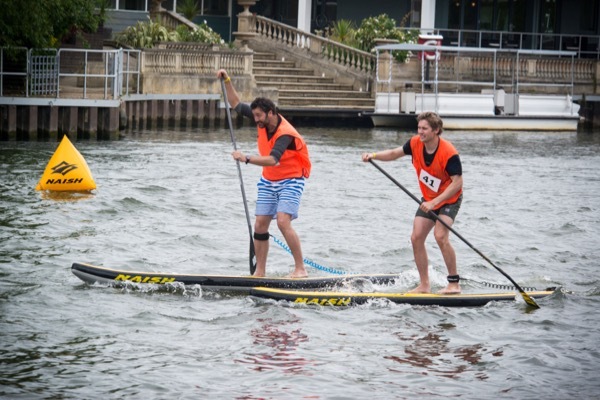 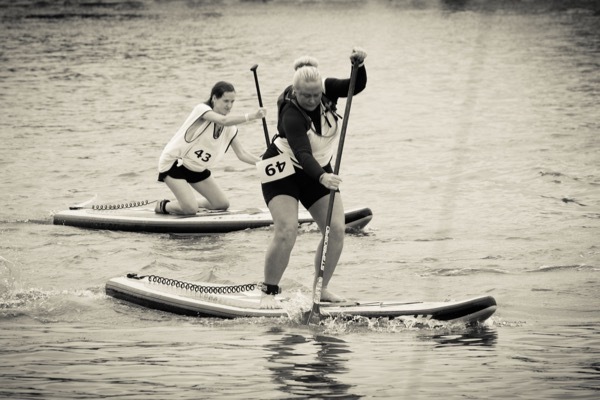 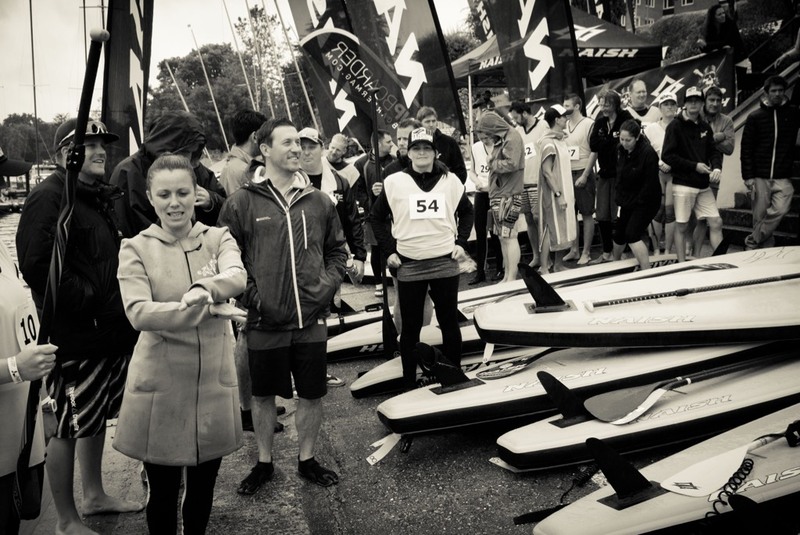 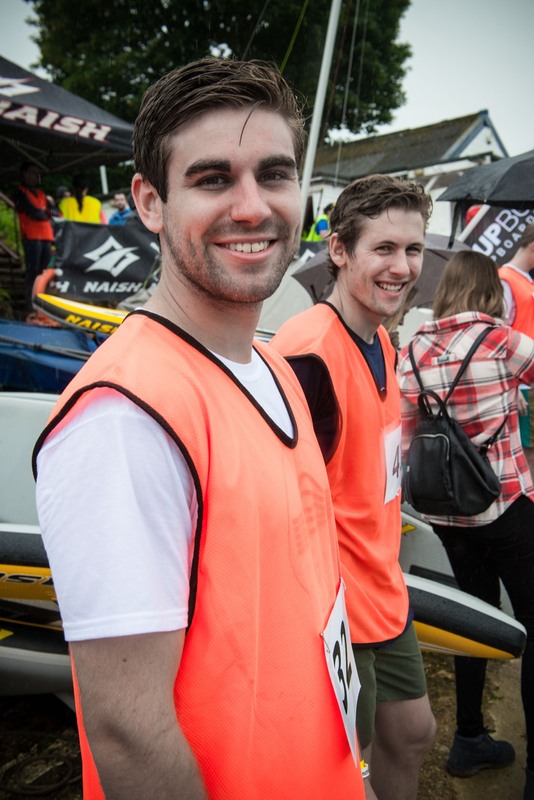 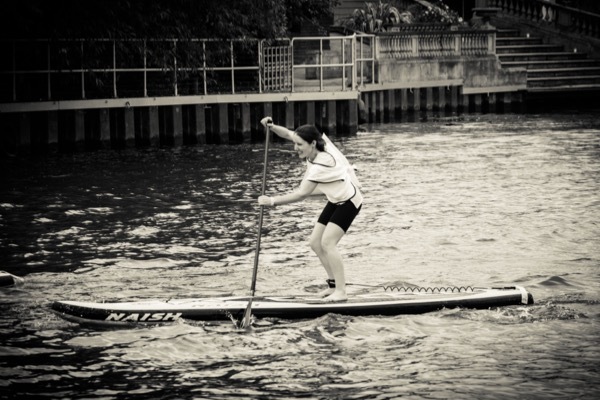 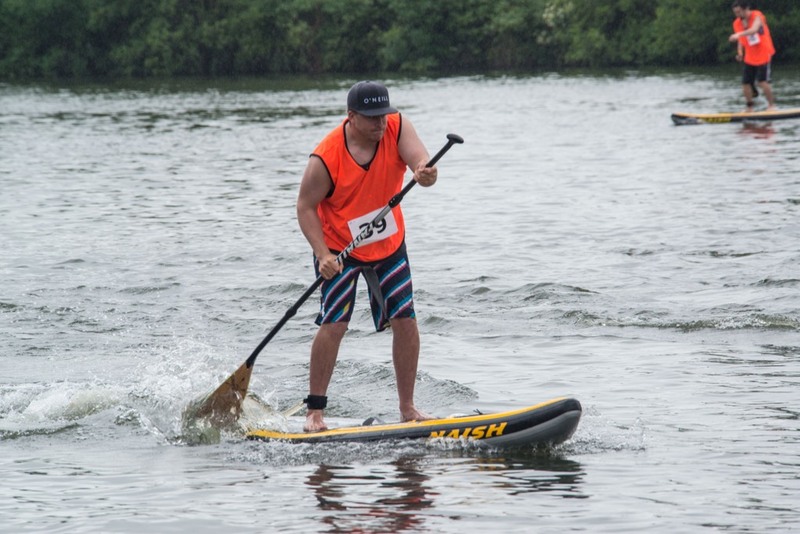 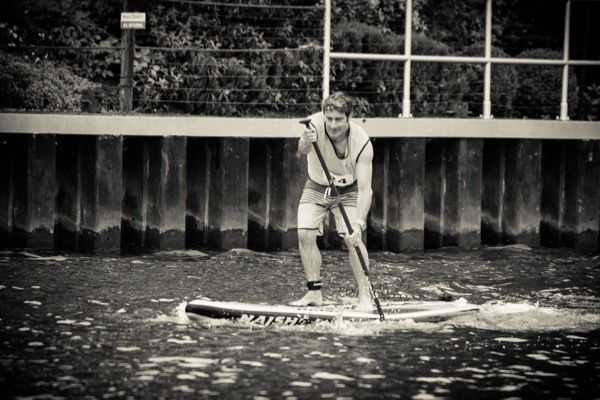 Remember… you don’t have to be a racer or have a board to give this fun event a go. 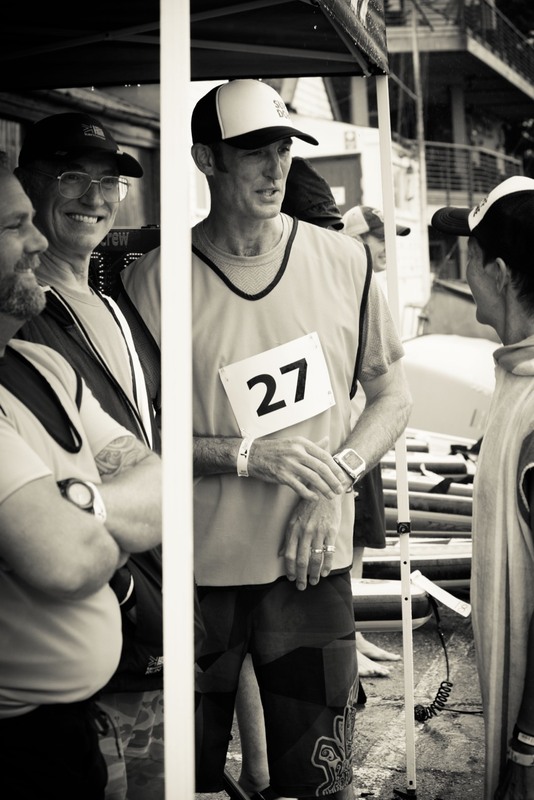 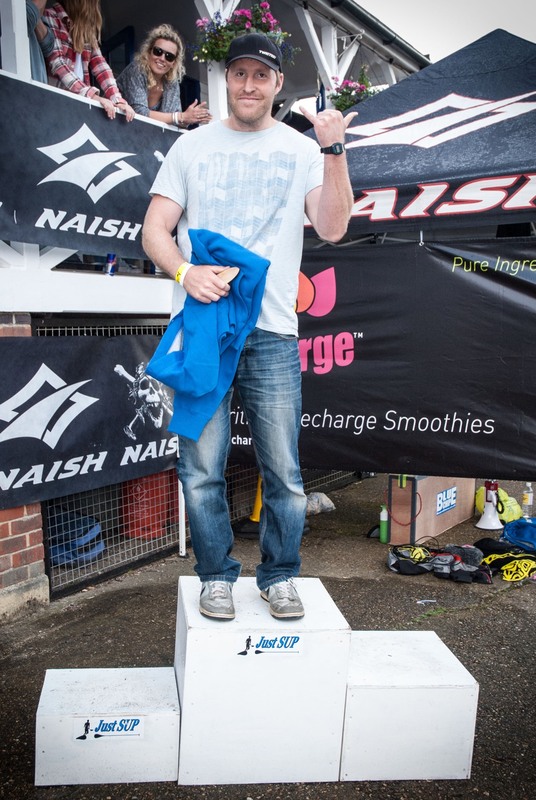 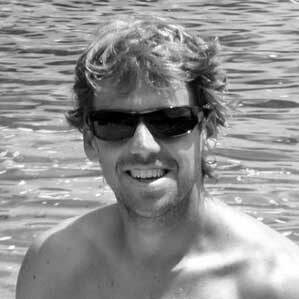 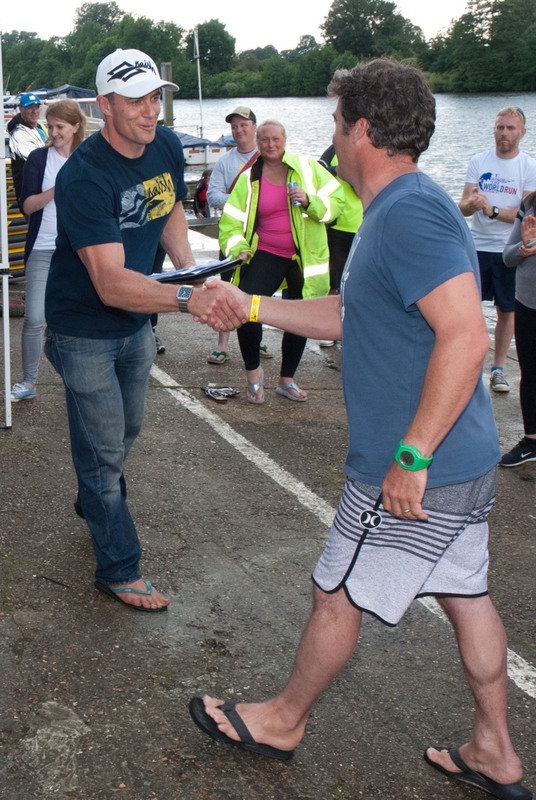 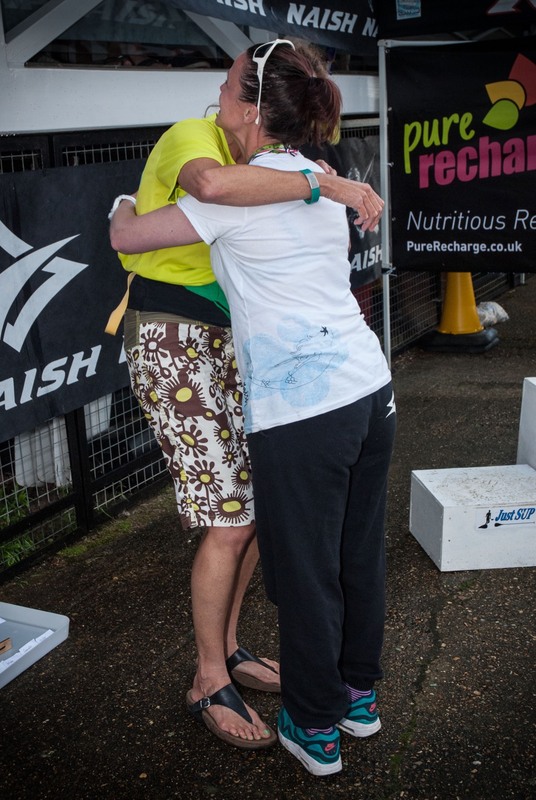 Thanks to Mark Ellis for the great race photos.